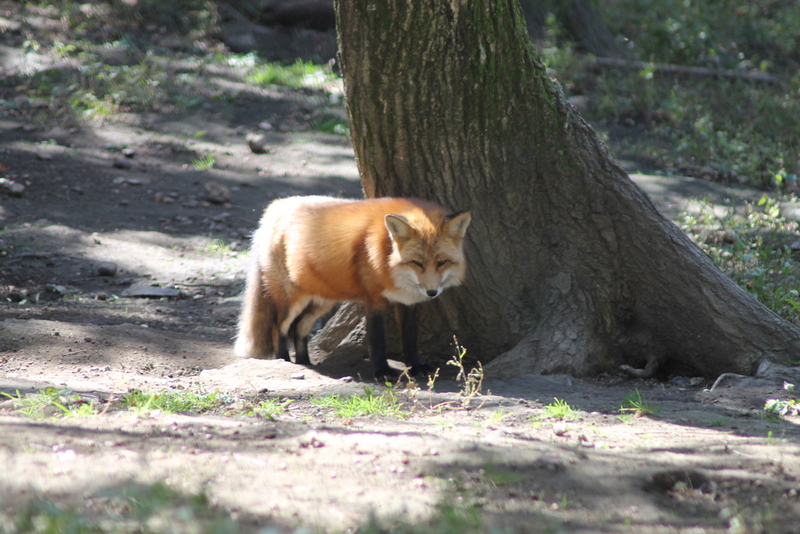 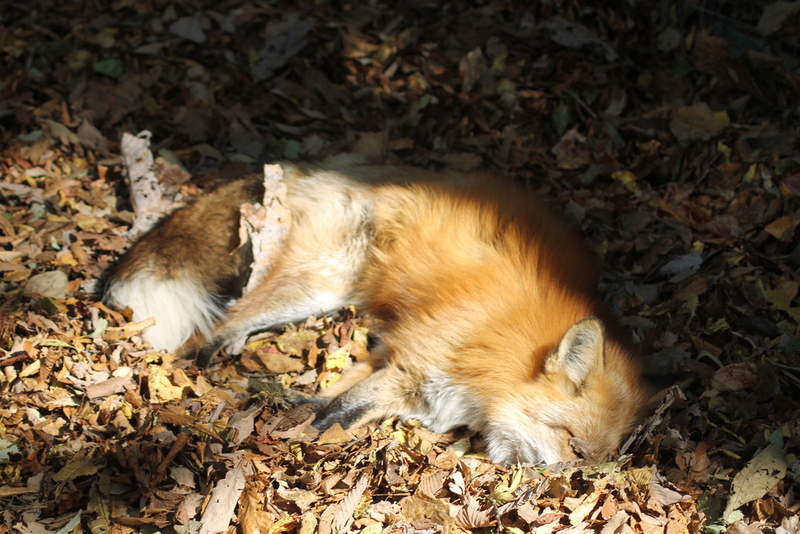 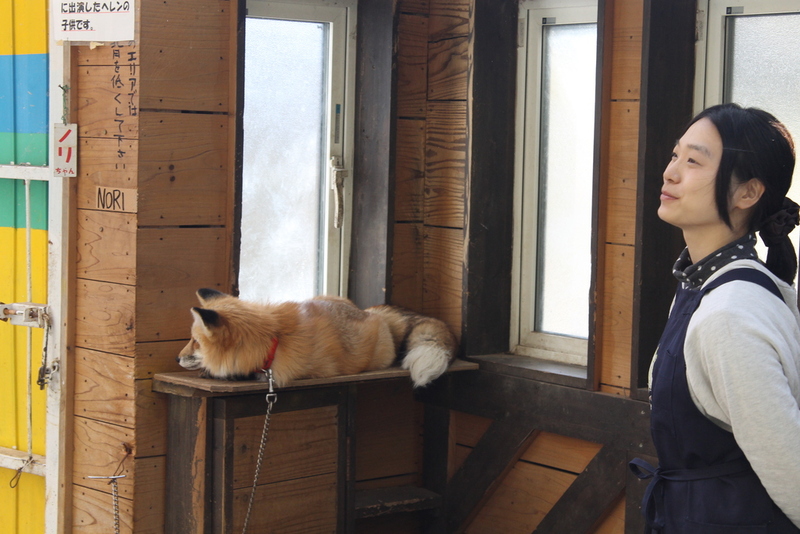 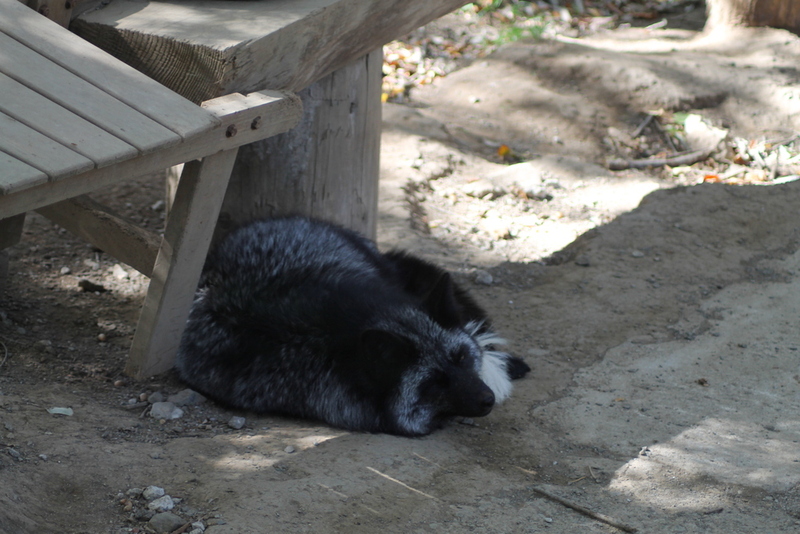 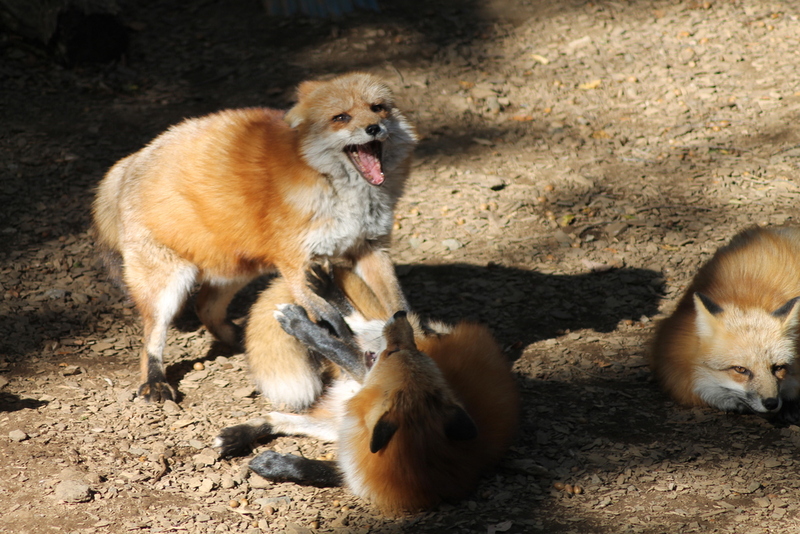 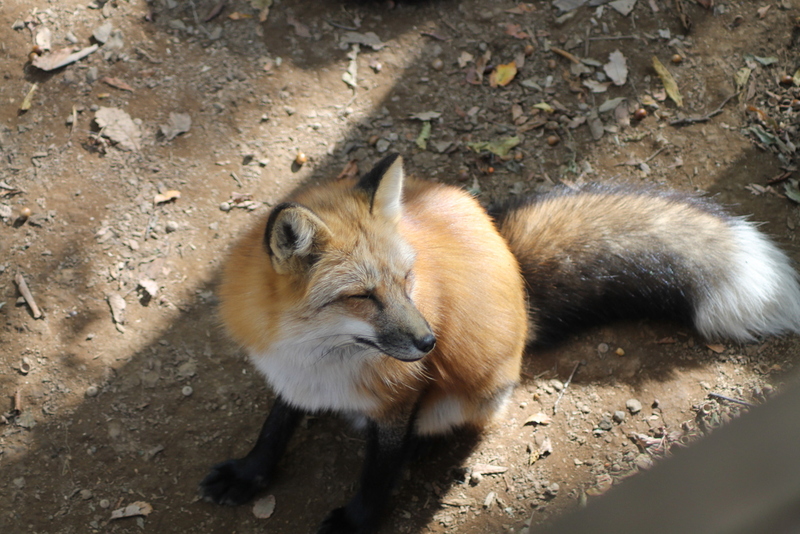 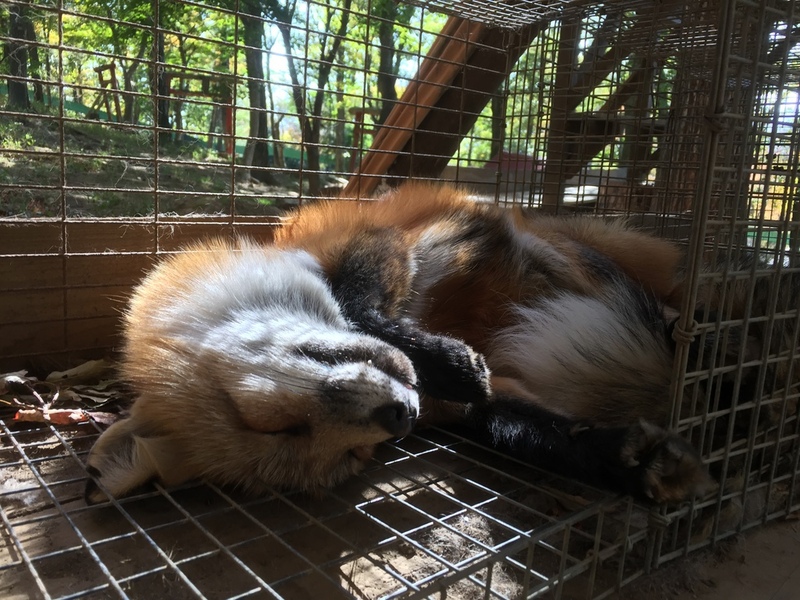 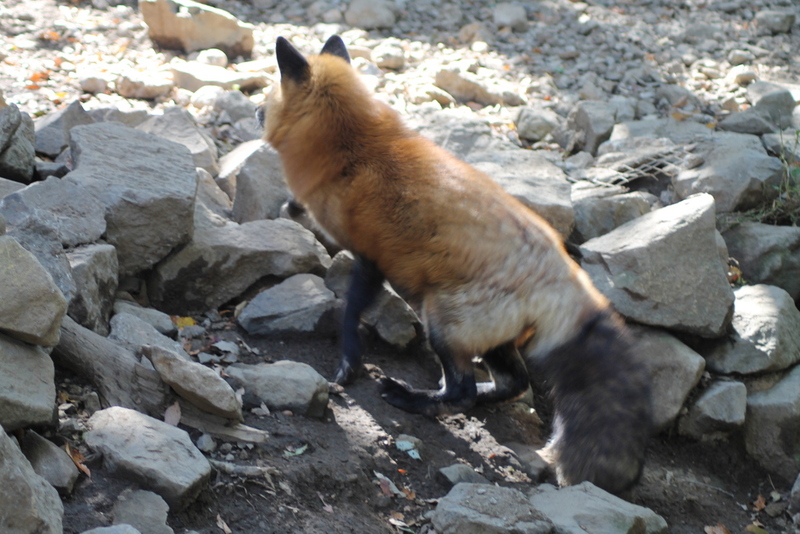 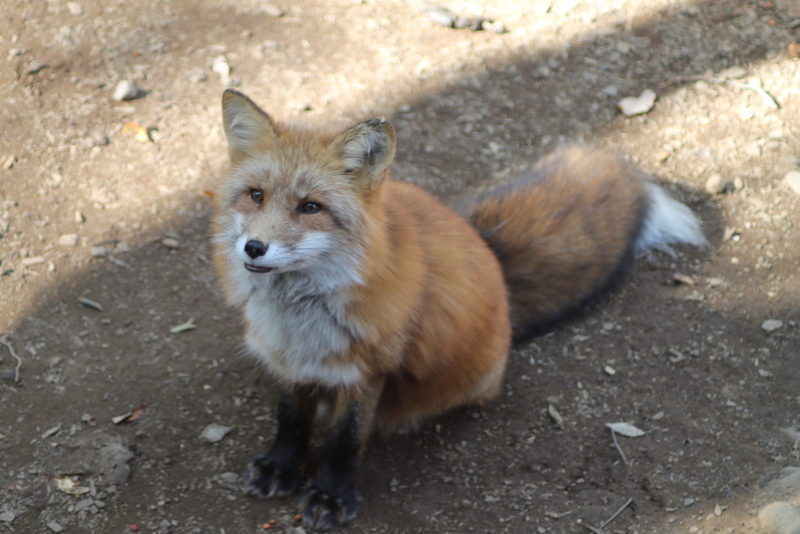 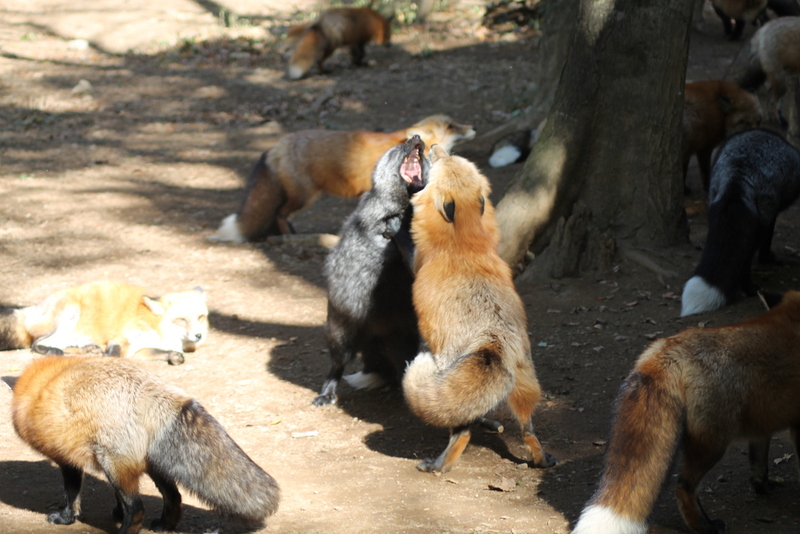 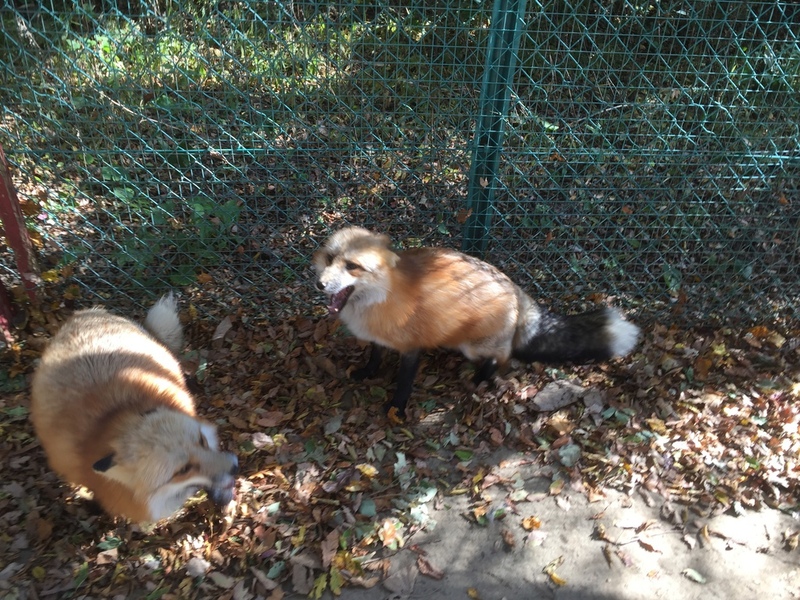 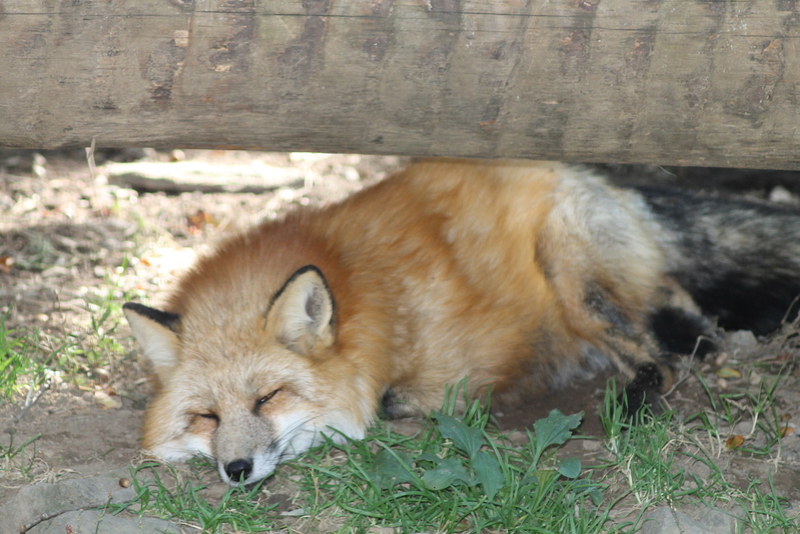 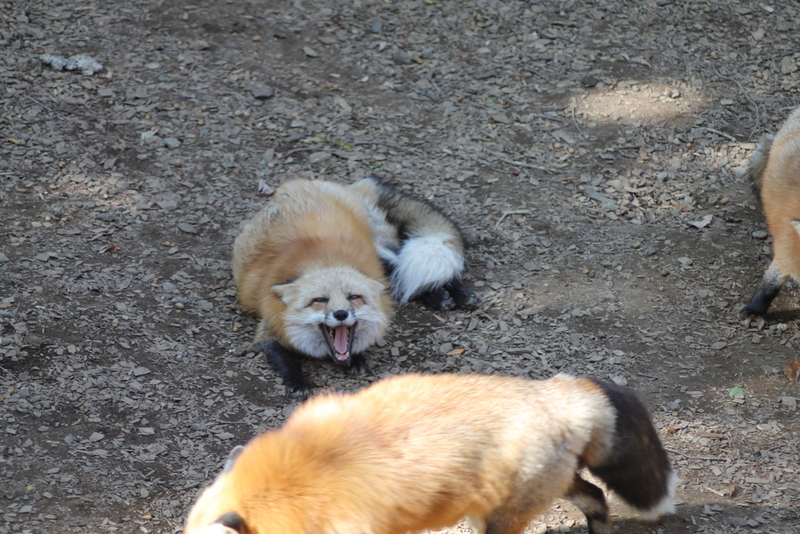 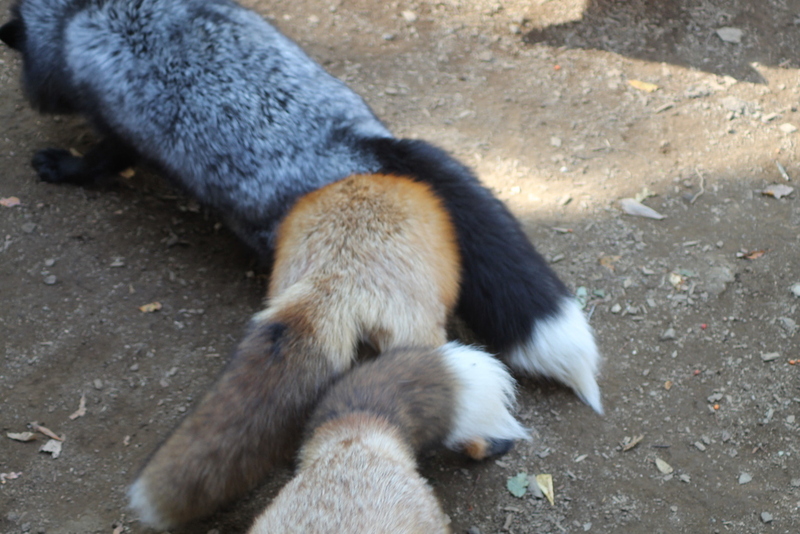 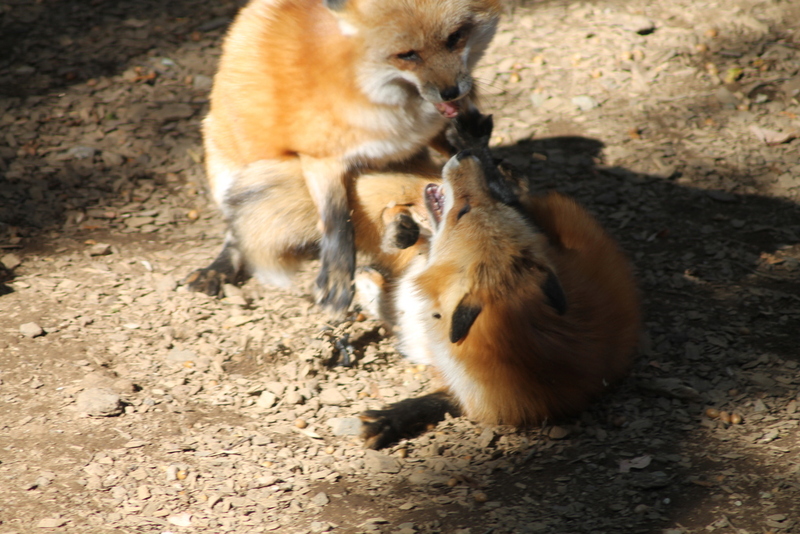 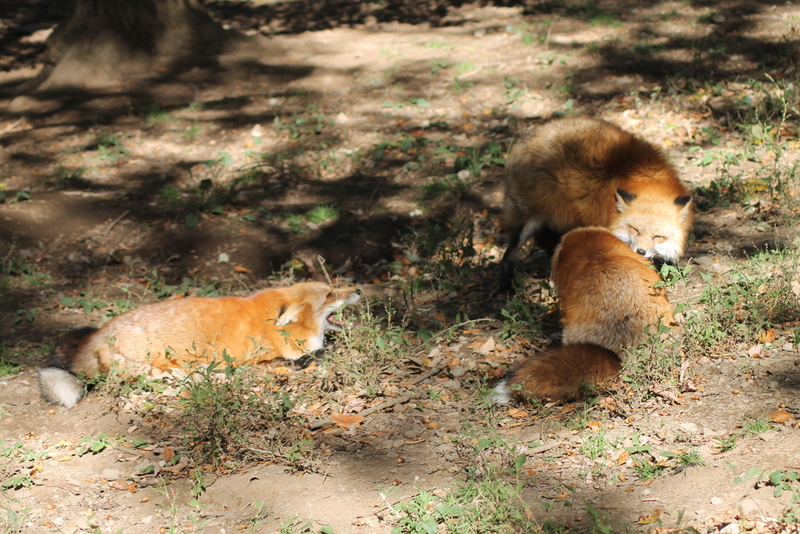 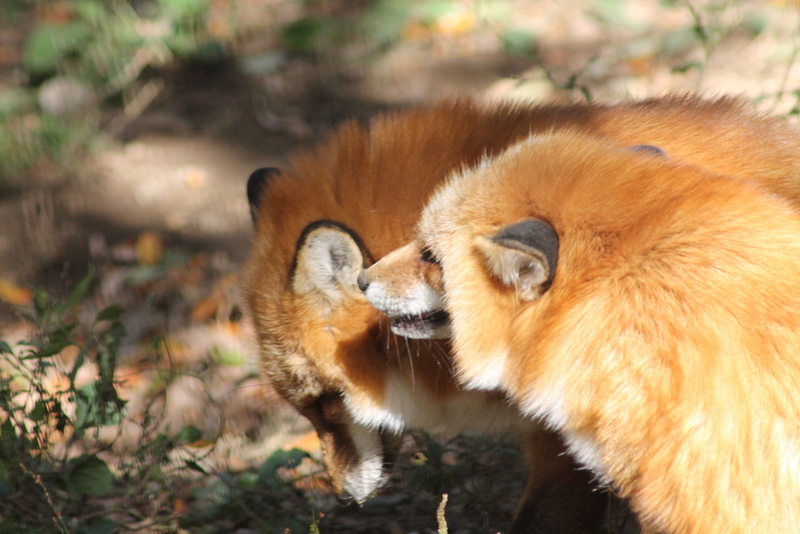 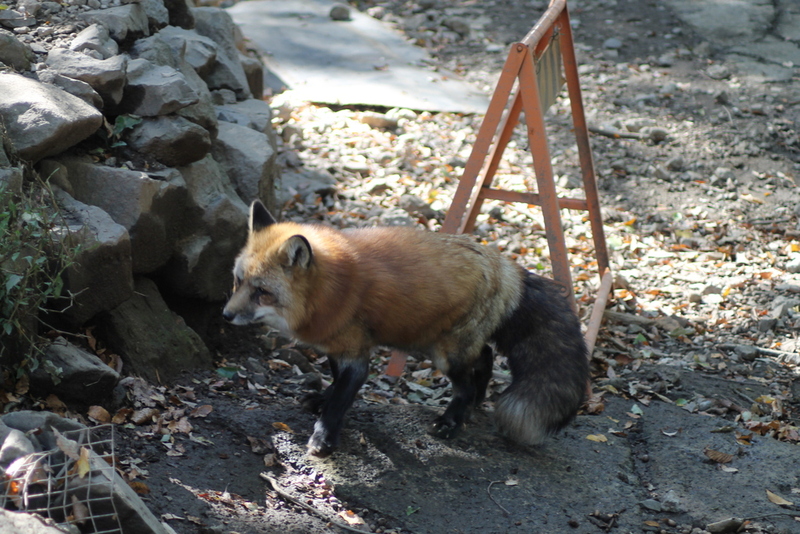 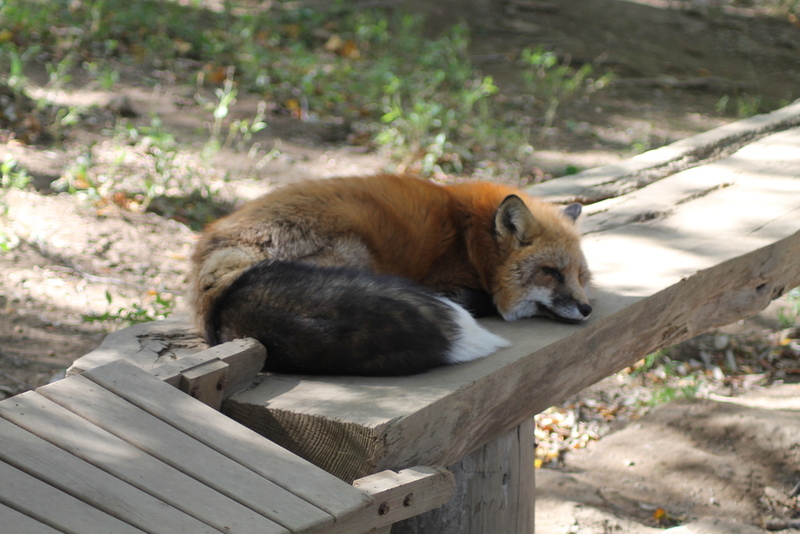 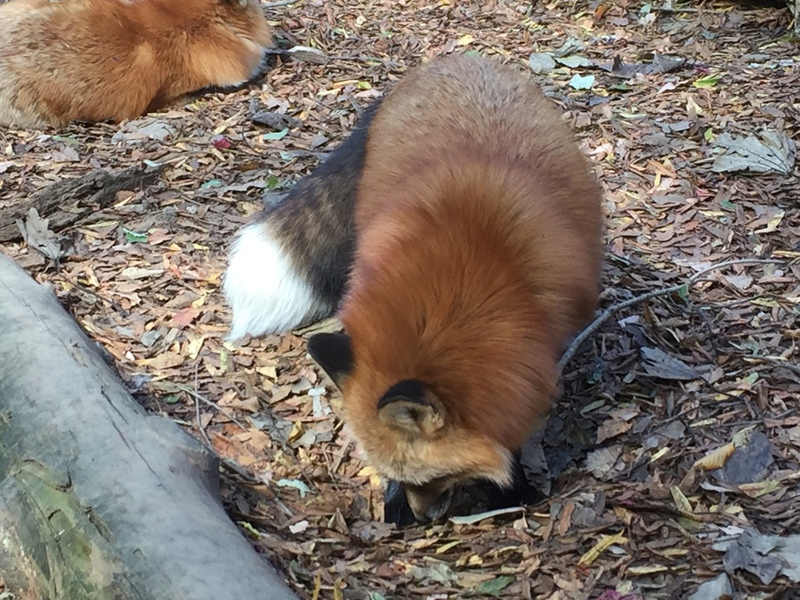 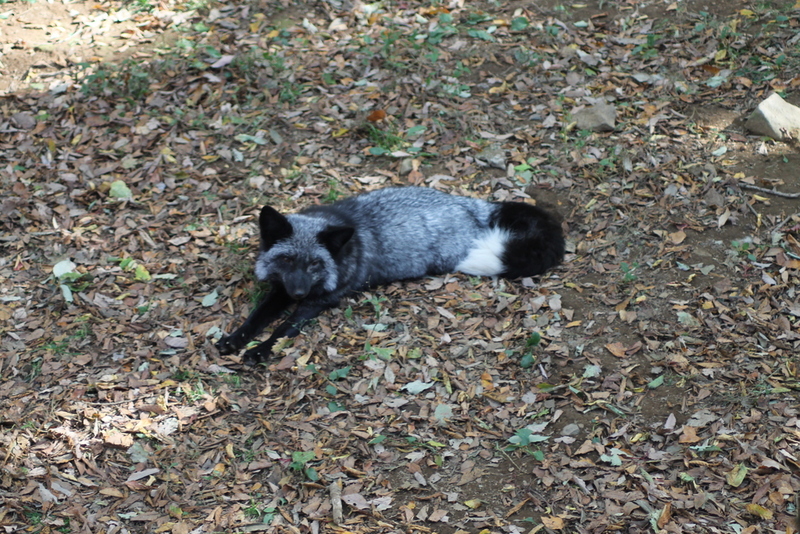 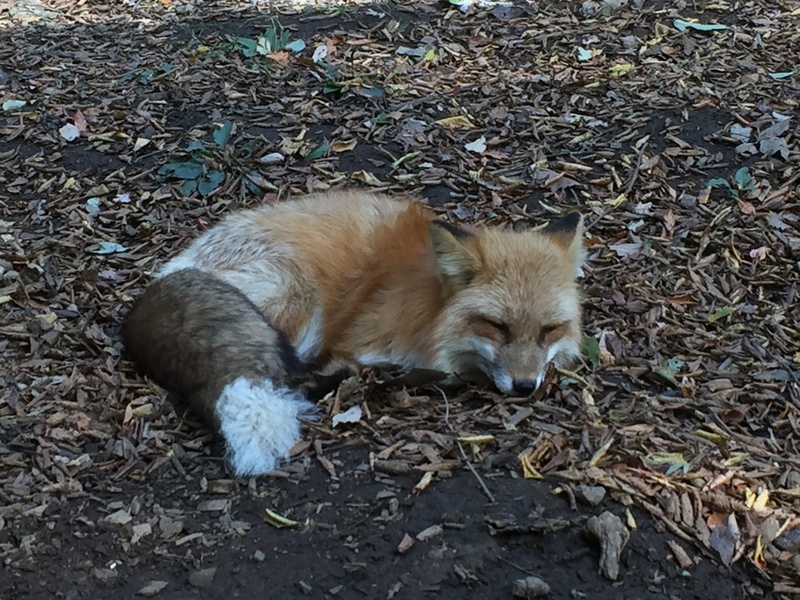 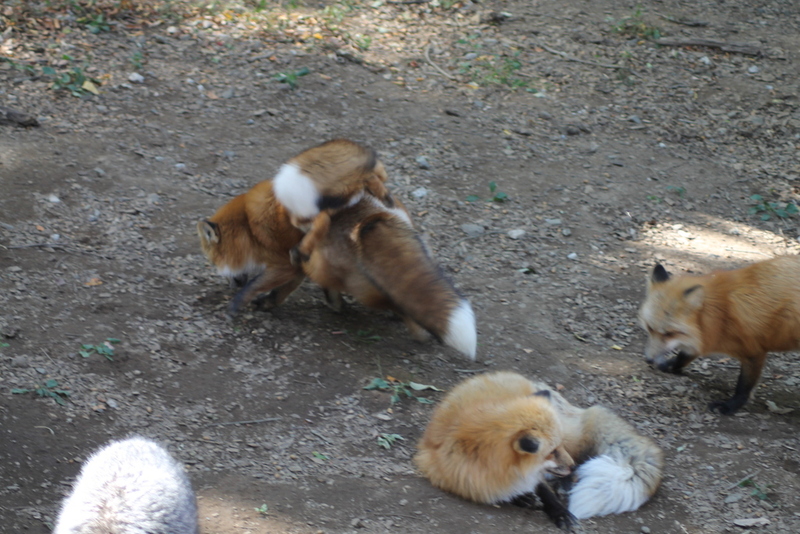 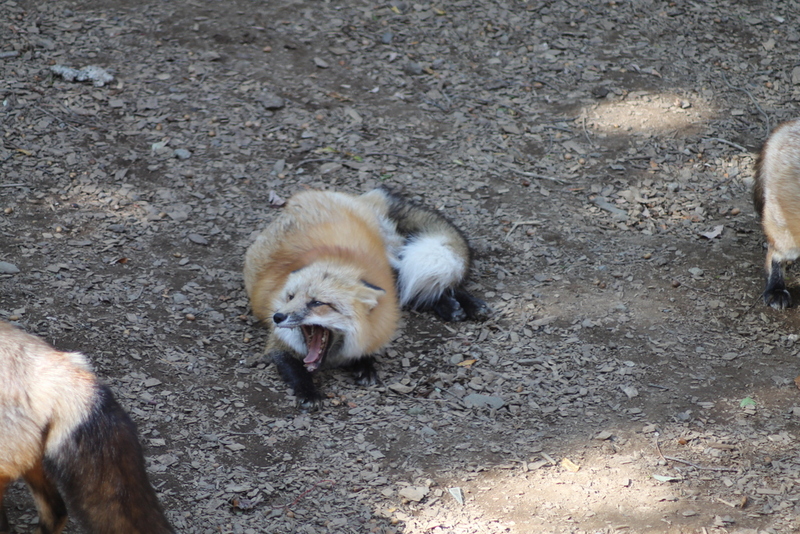 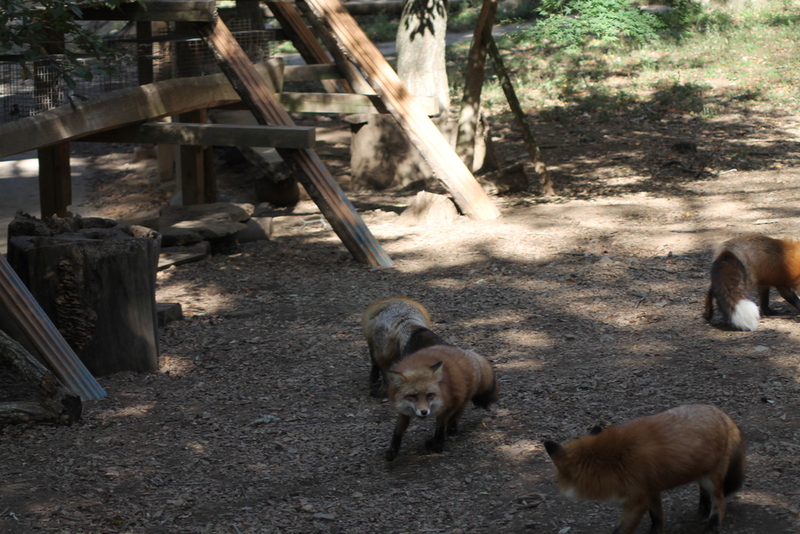 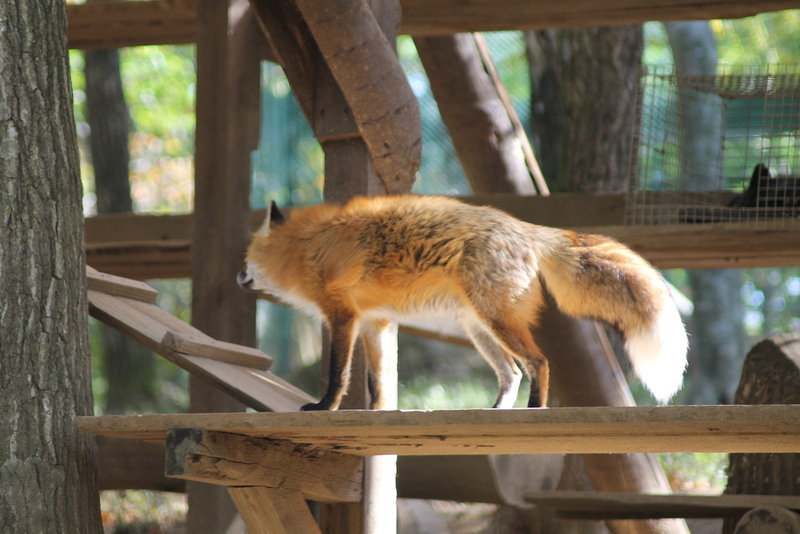 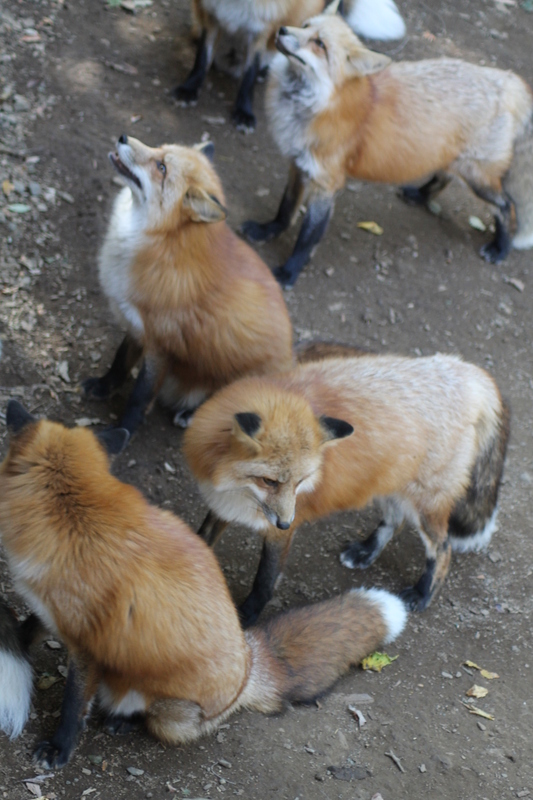 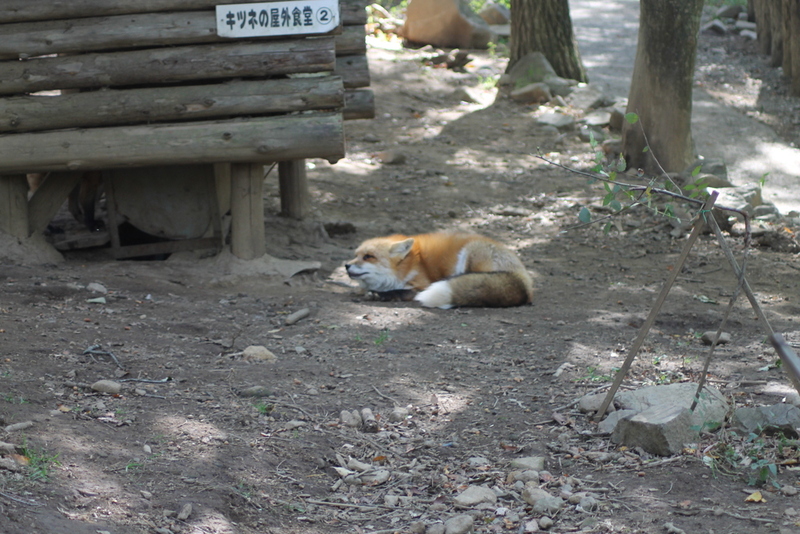 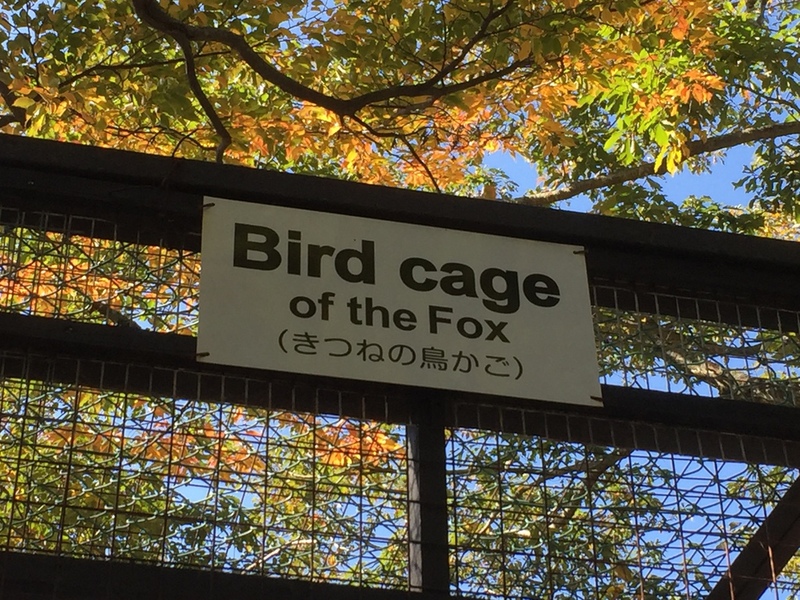 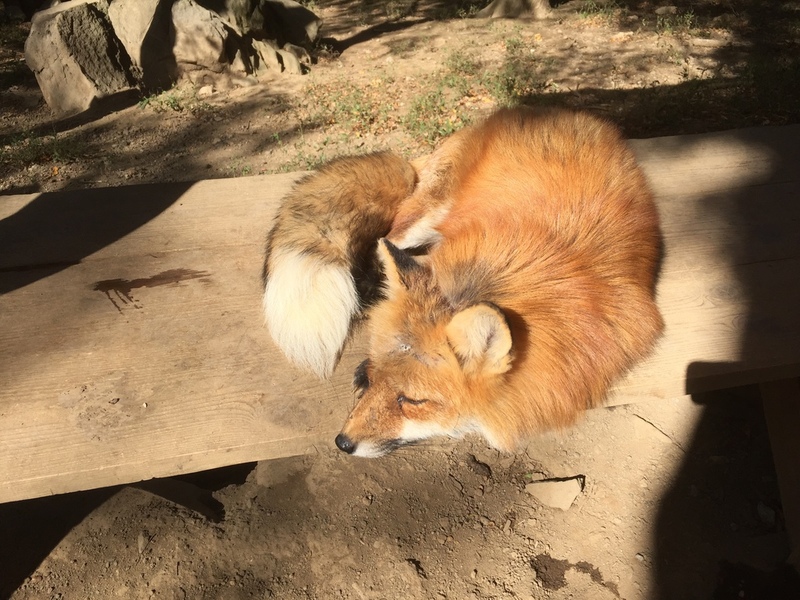 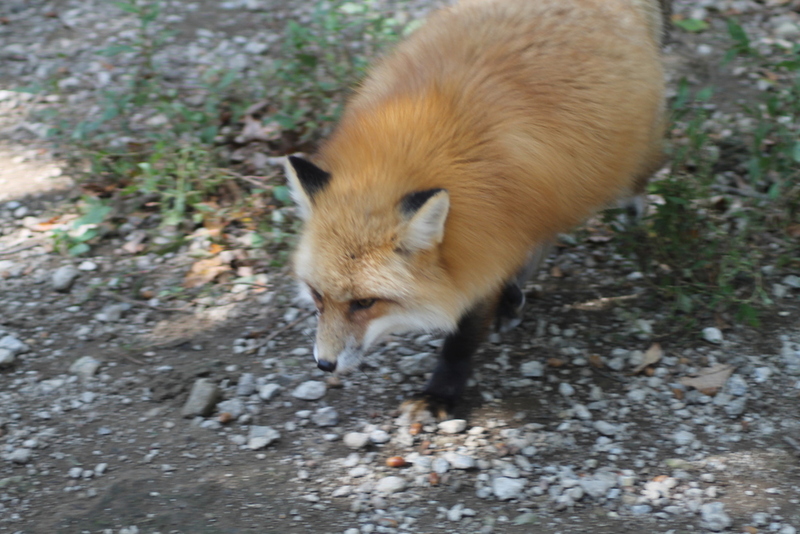 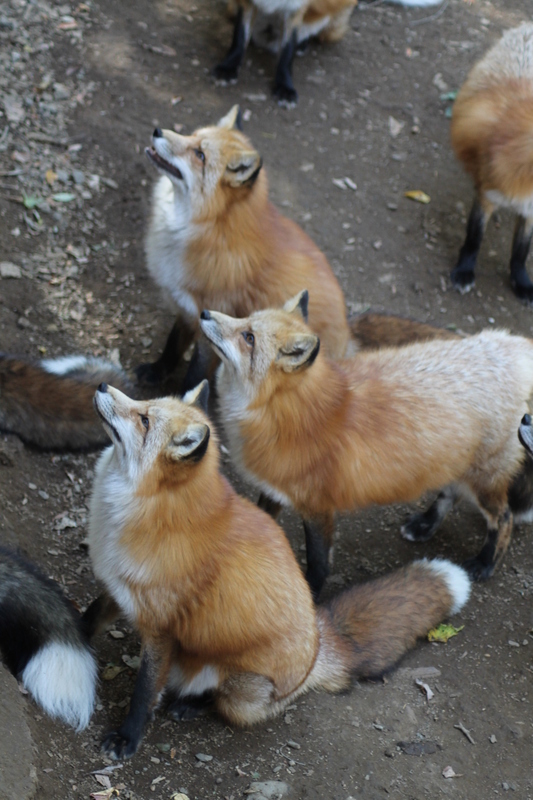 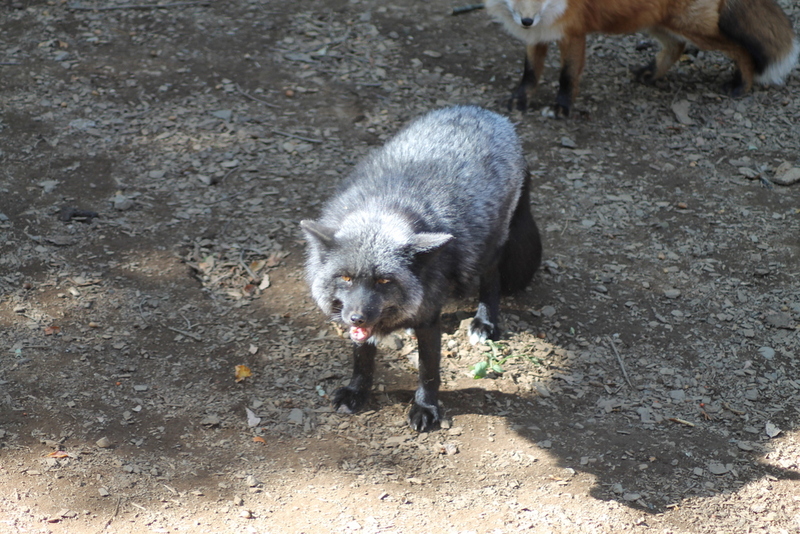 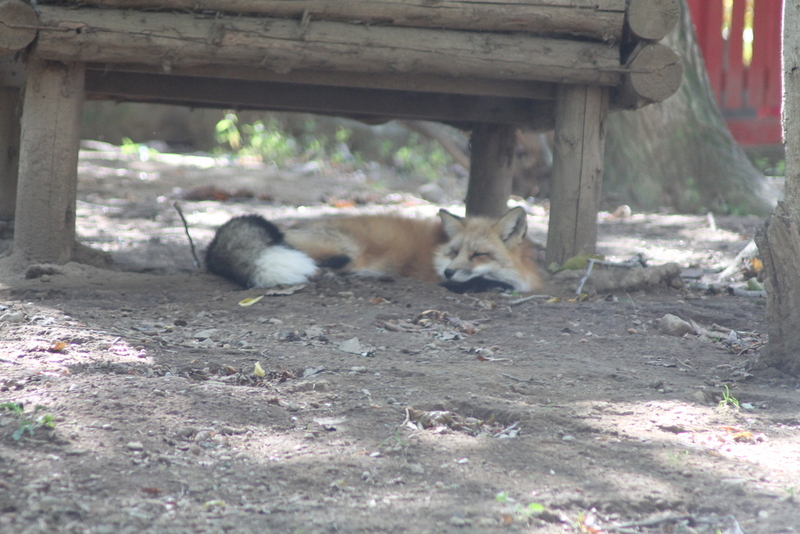 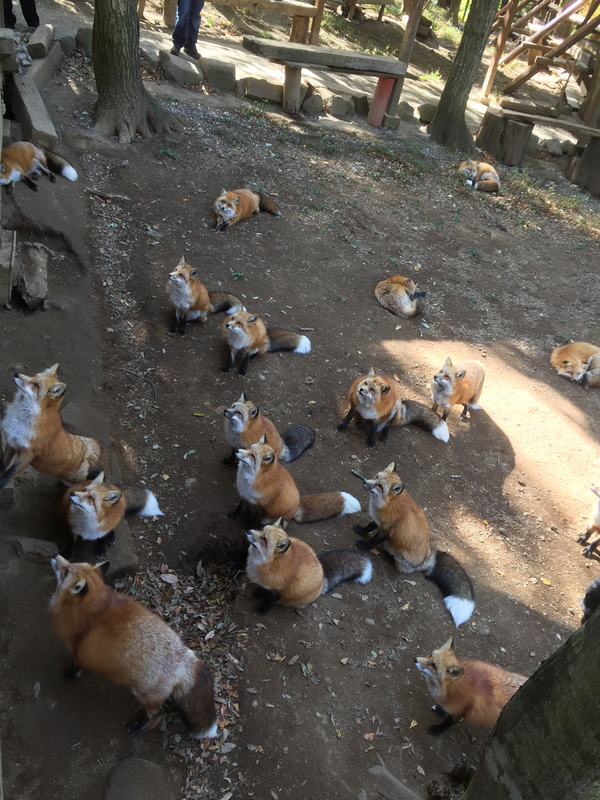 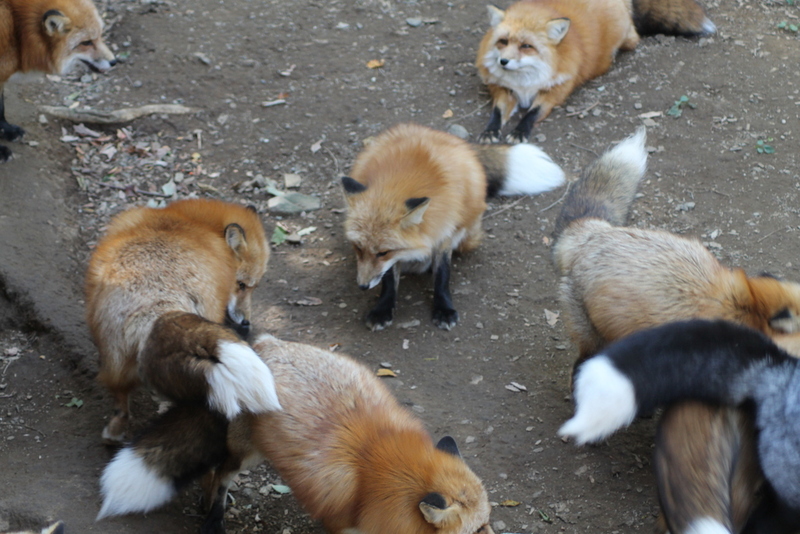 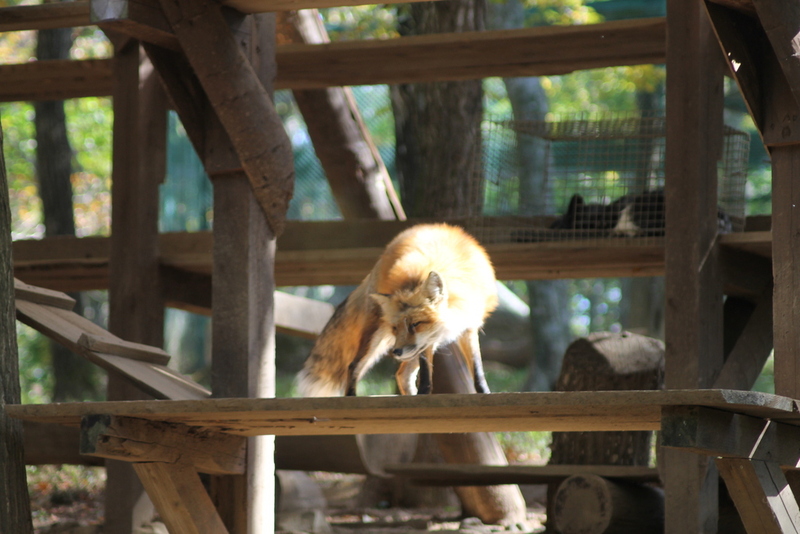 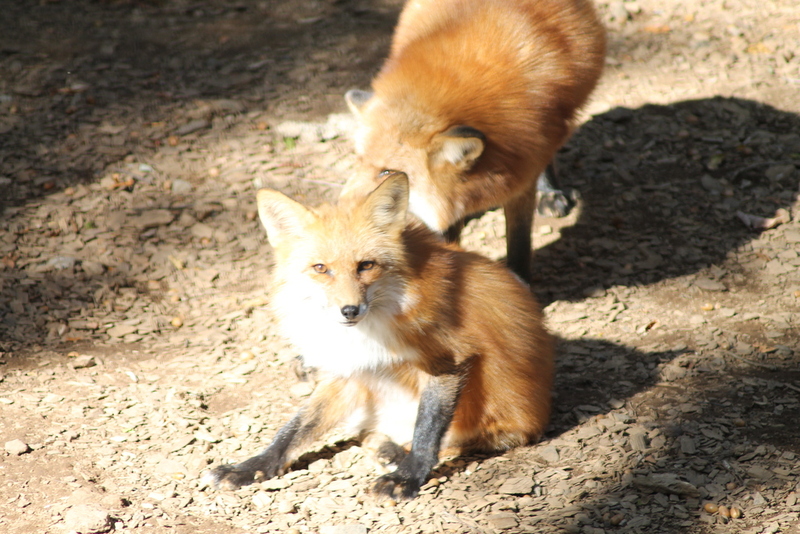 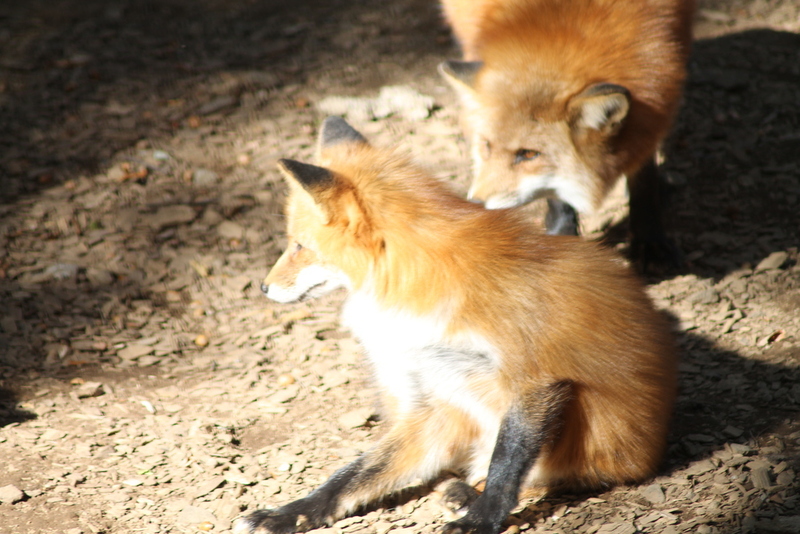 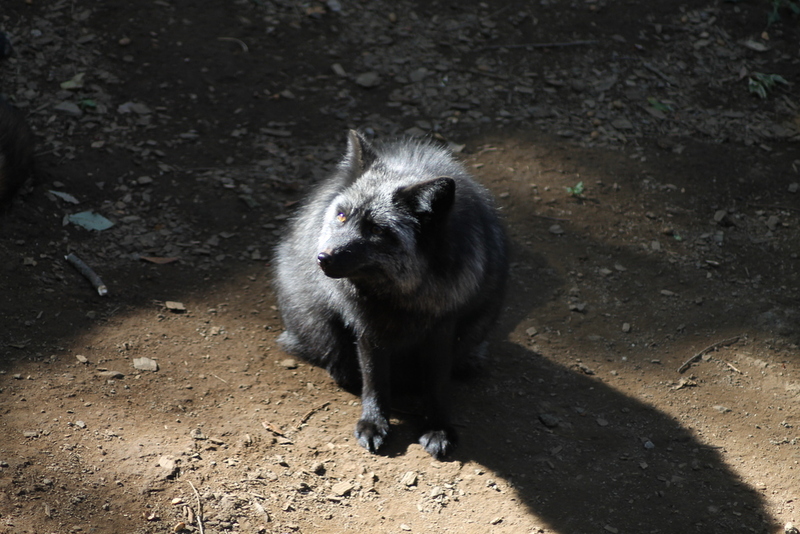 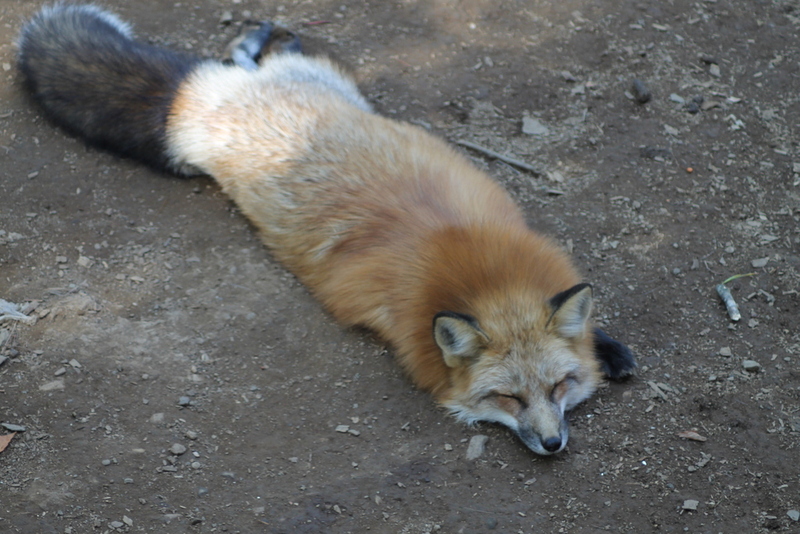 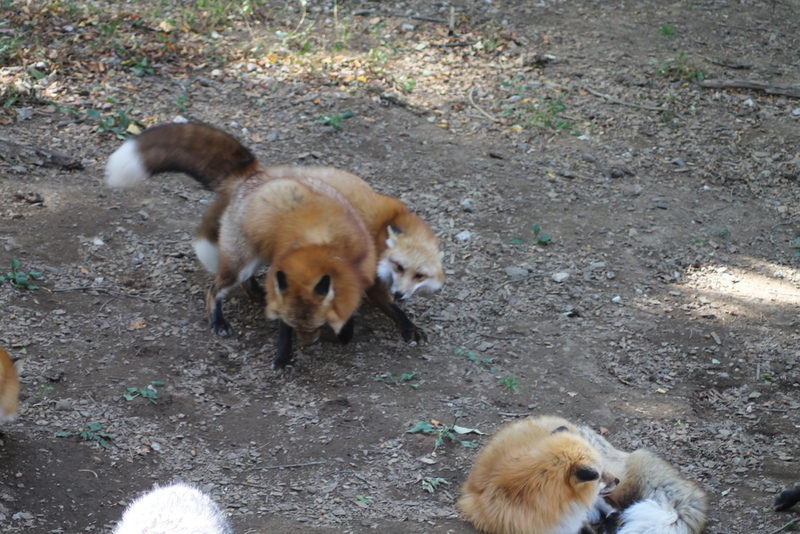 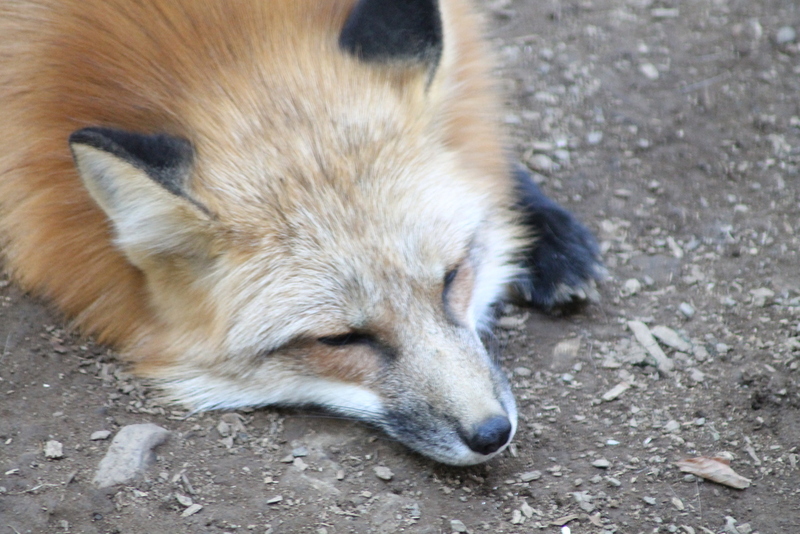 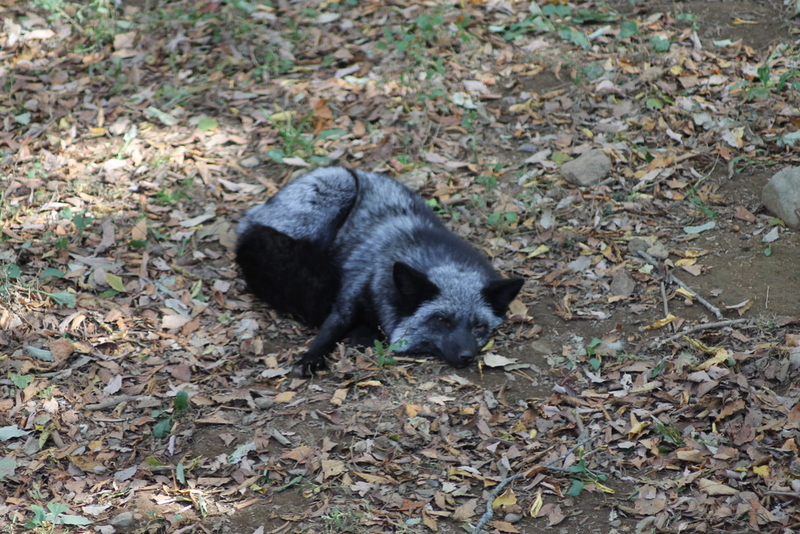 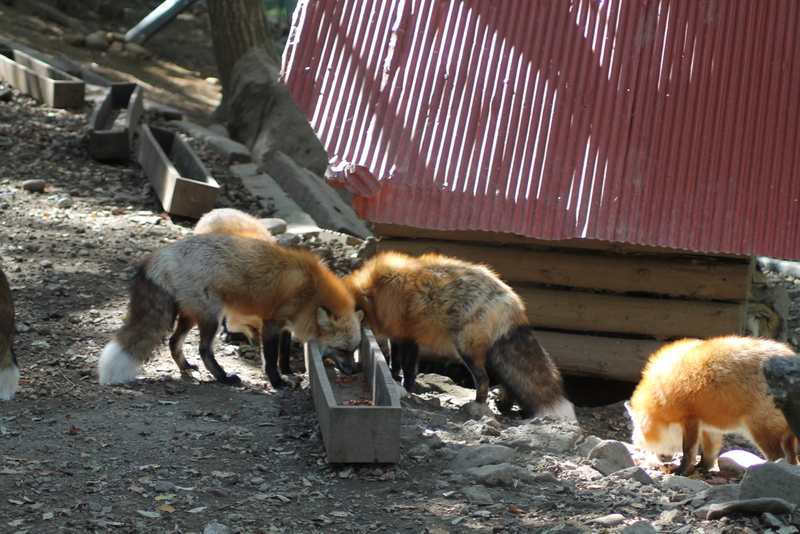 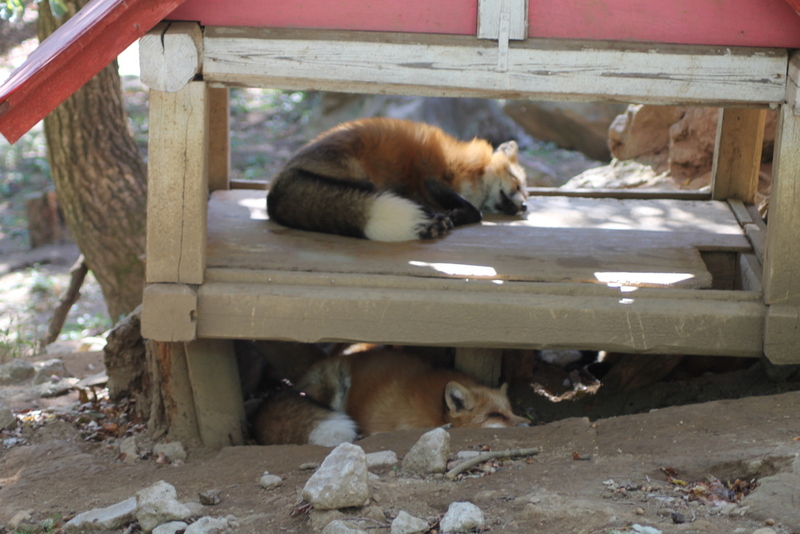 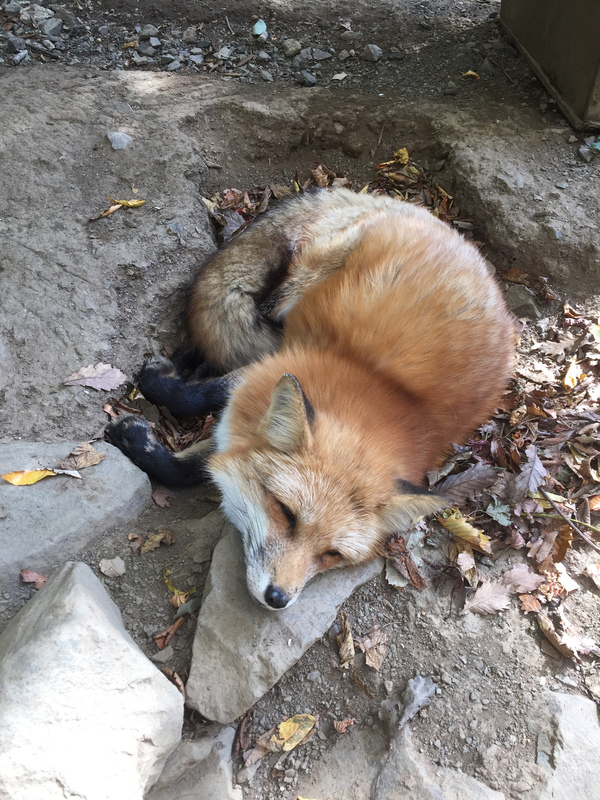 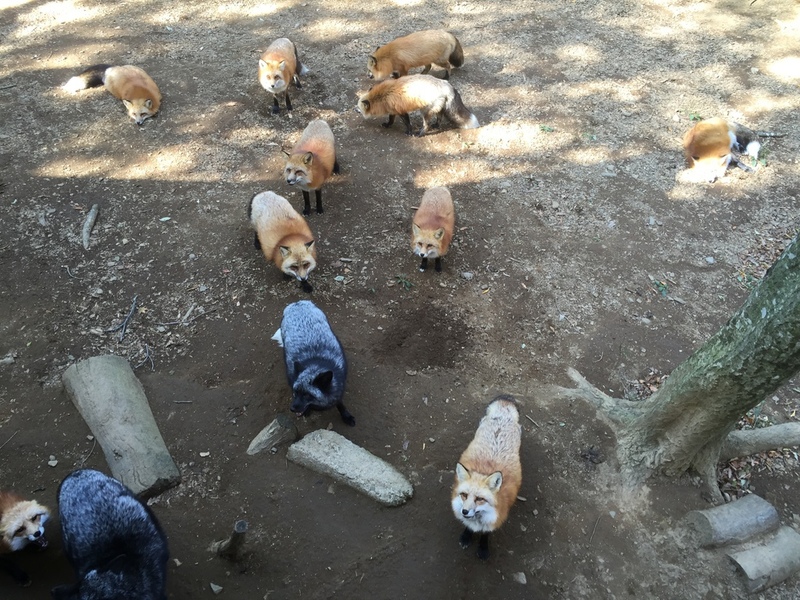 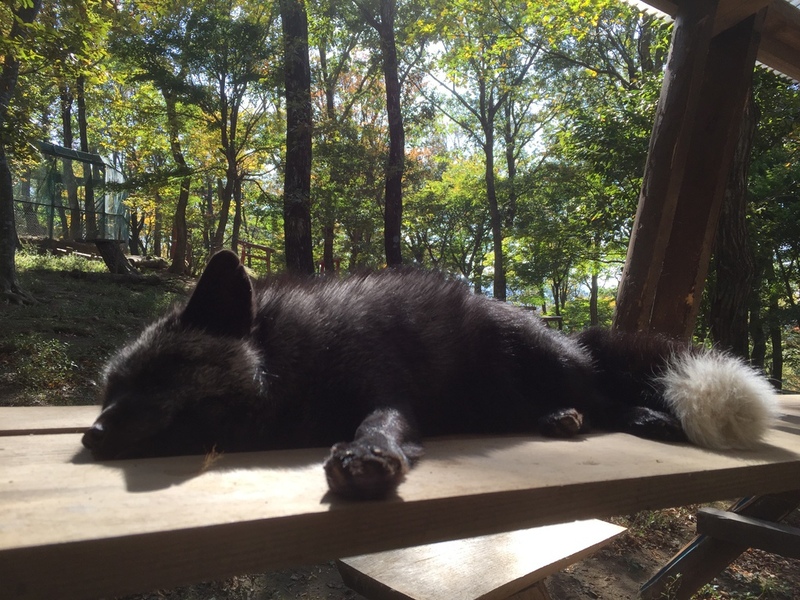 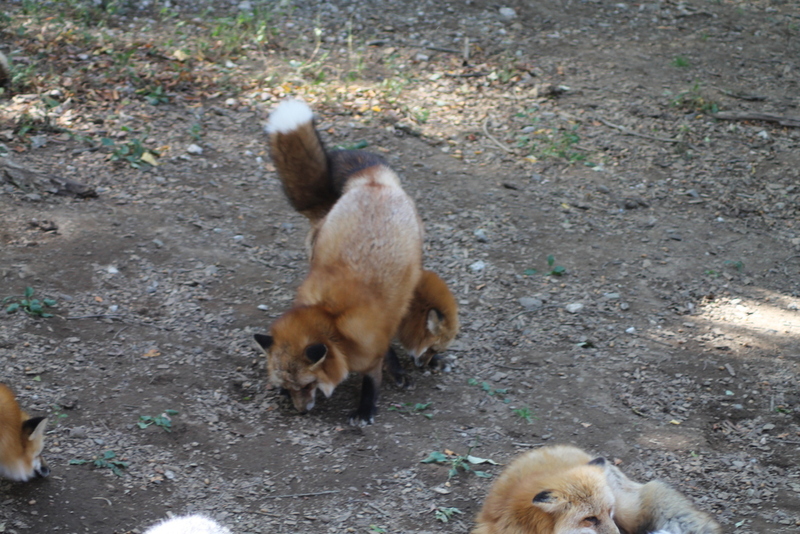 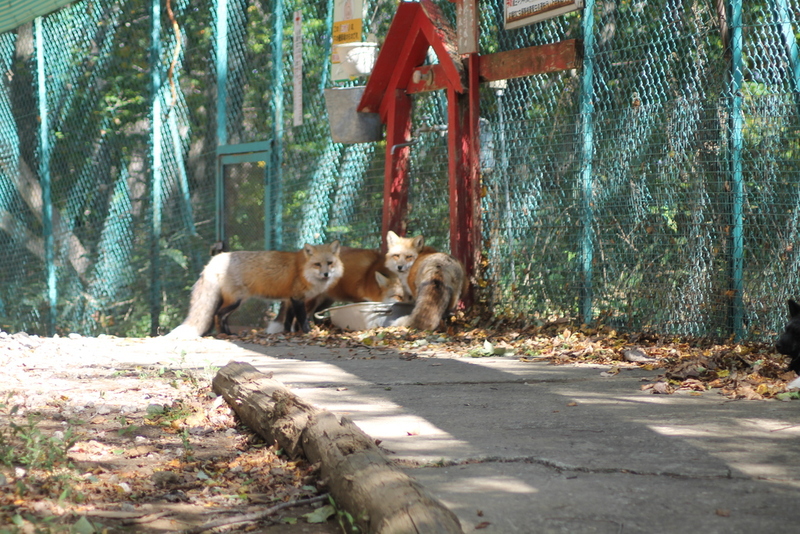 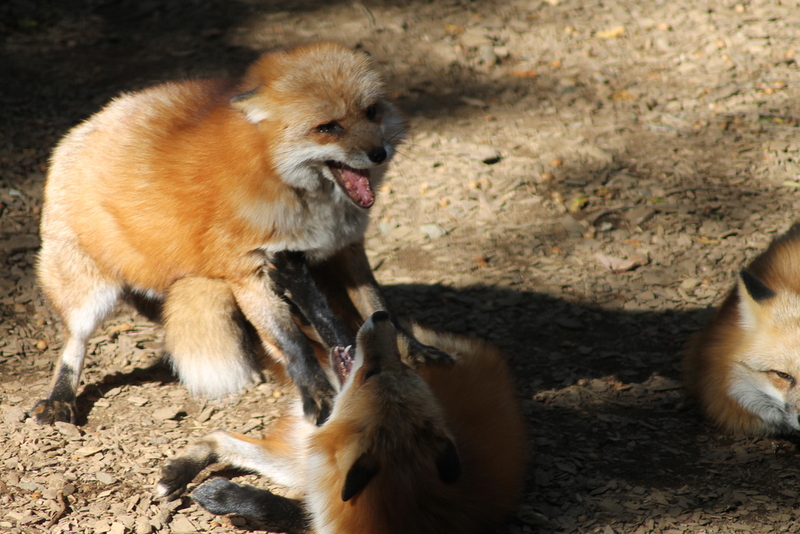 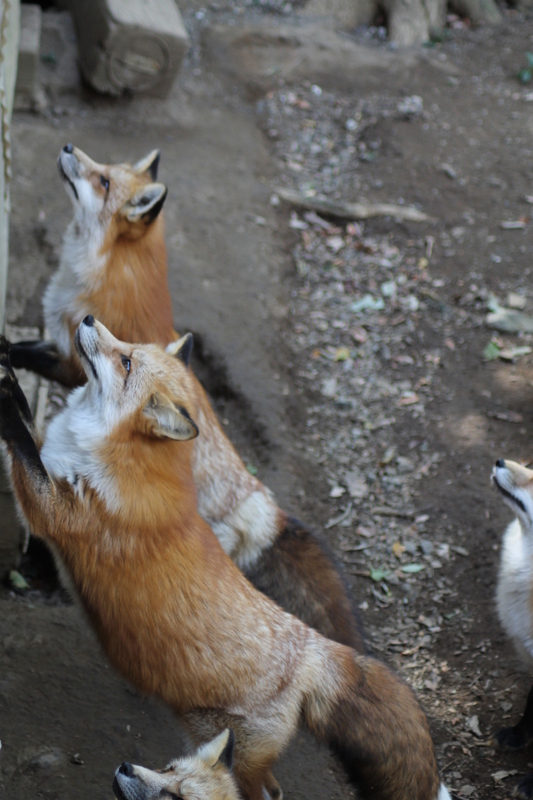 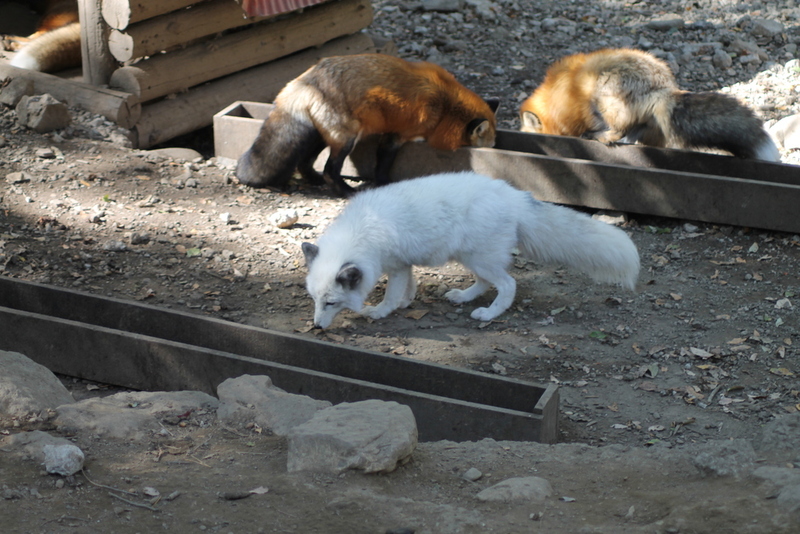 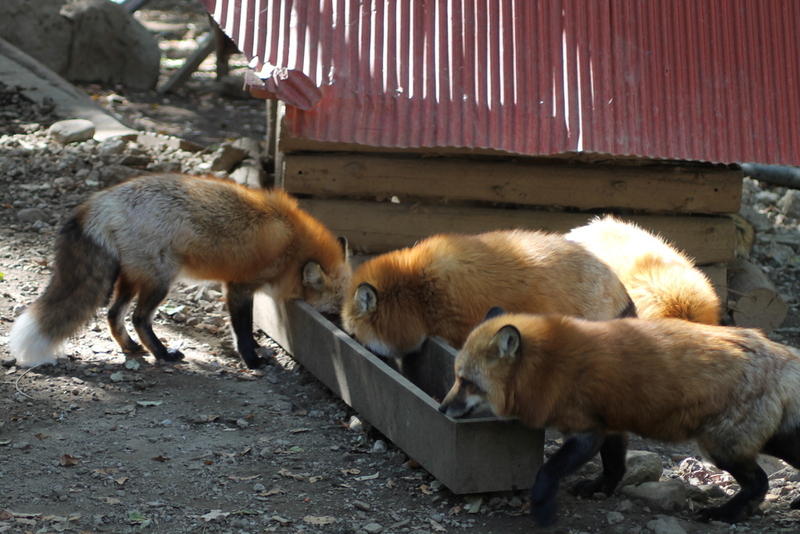 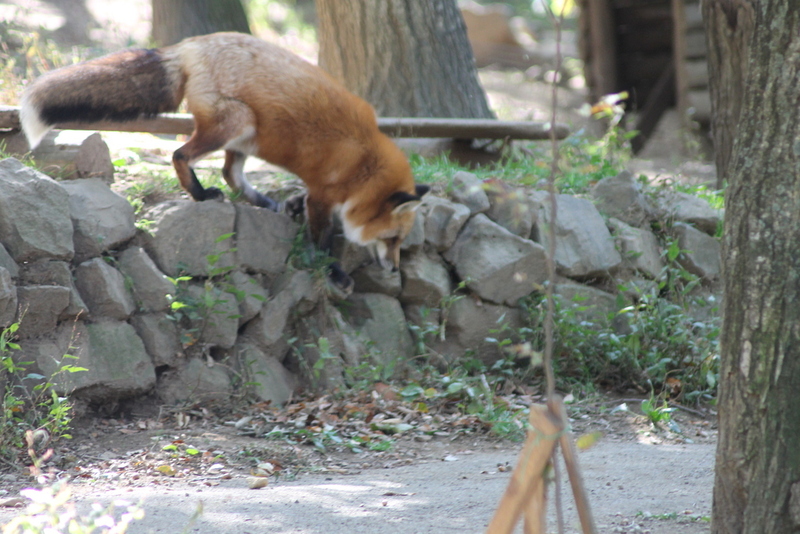 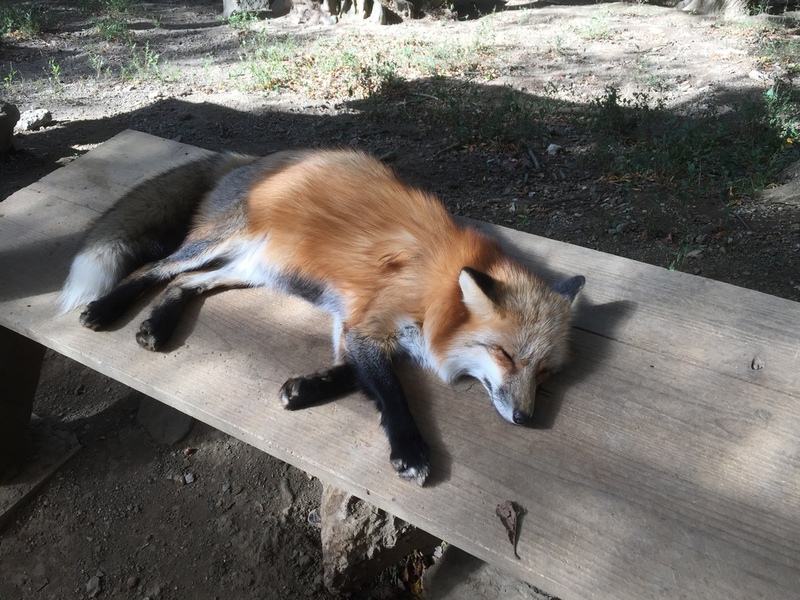 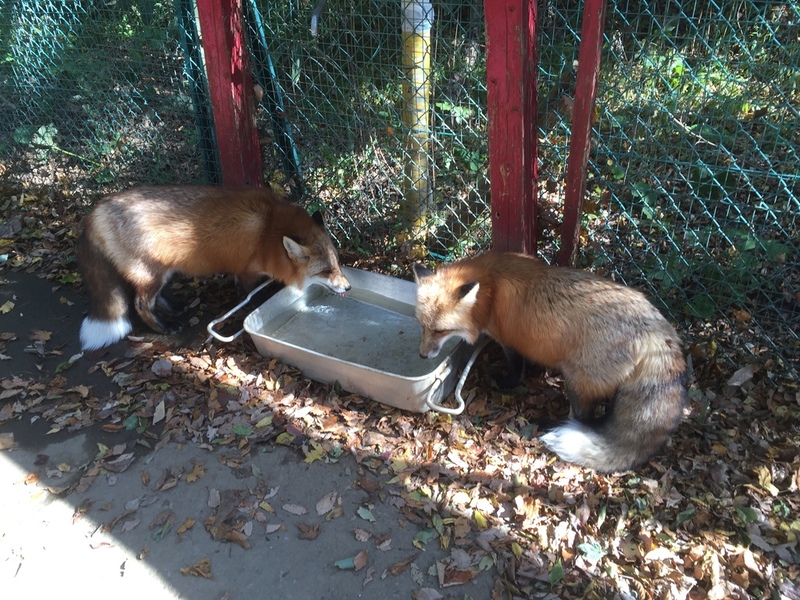 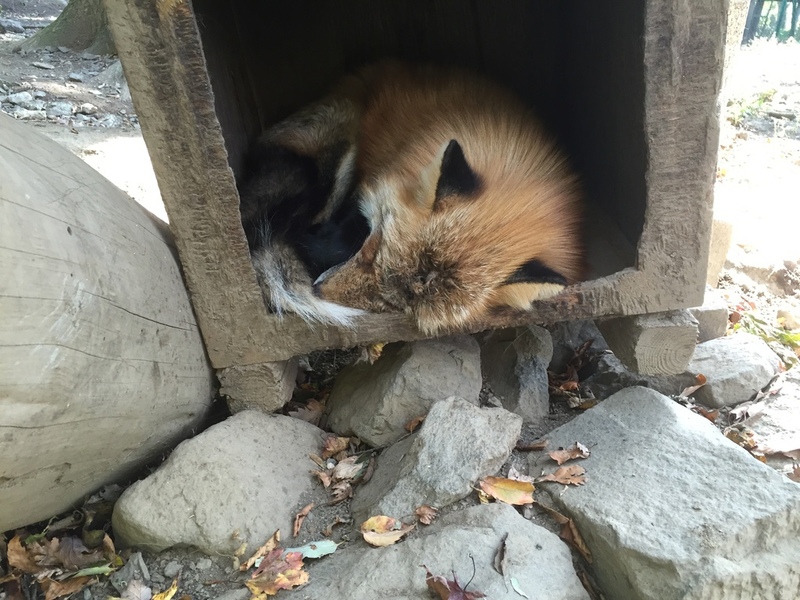 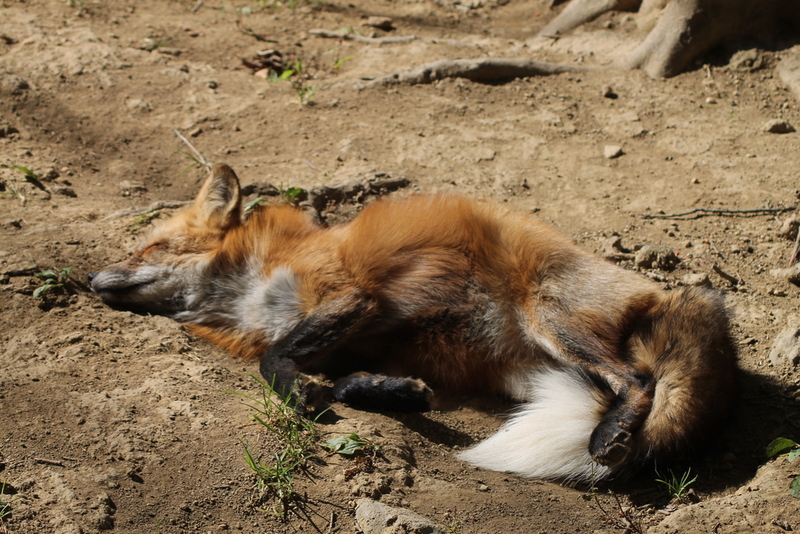 A day trip to the Zao Fox Village was in order next, a short distance from Sendai, the town of Shiroishi houses a small sanctuary in the form of a village of foxes, high in the mountains nearby. 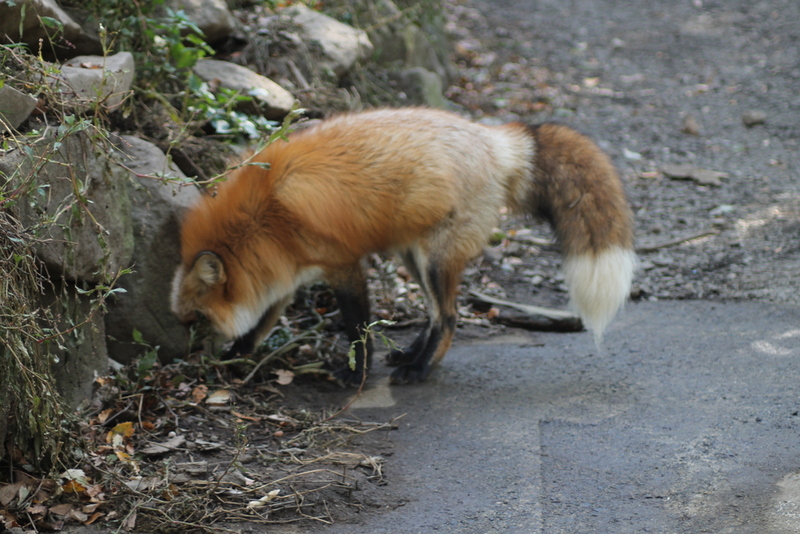 After a bit of messing about trying to order a taxi in pigeon Japanese we were quickly whisked away up the mountain to our destination. 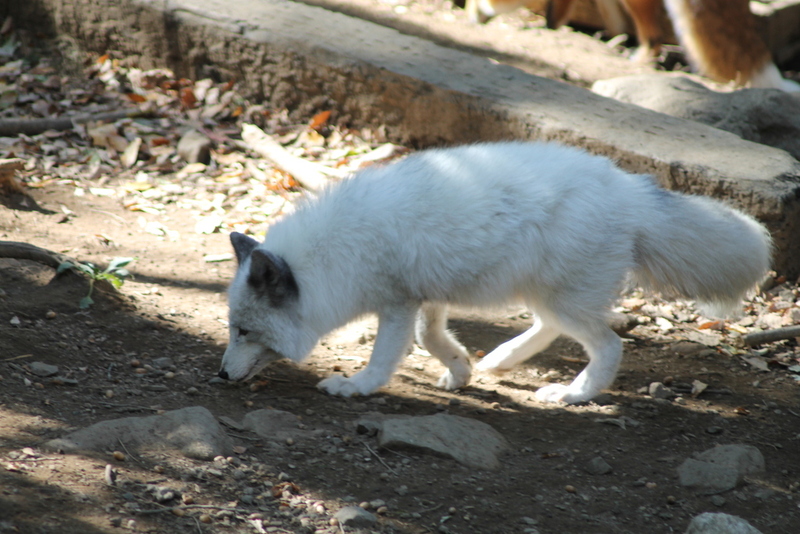 The weather itself was clear and nice and as you drove up the mountain, you got some spectacular views across the valley and as you neared the tip you got various drawn foxes holding signs pointing that you were headed in the right direction. 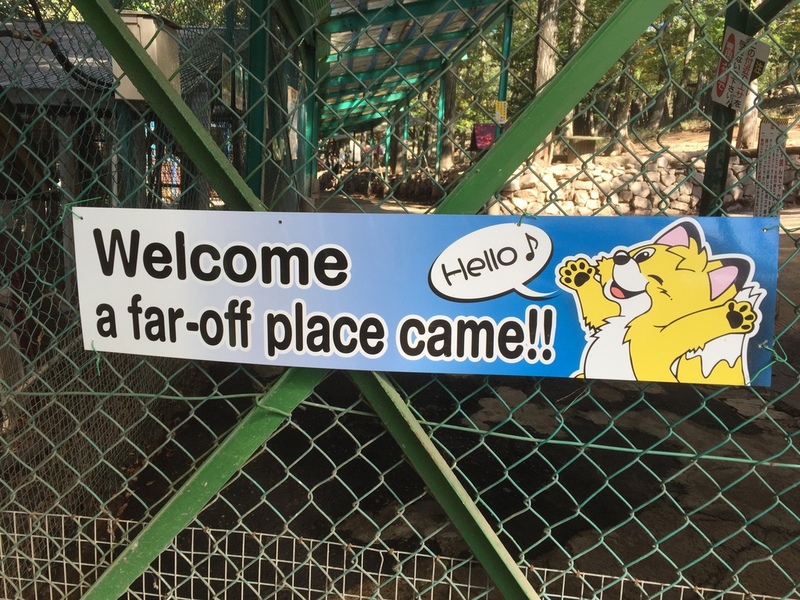 Then as you arrive and turn off your greeted by a large drawn fox holding a sign welcoming you, along with a wooden bear as well. 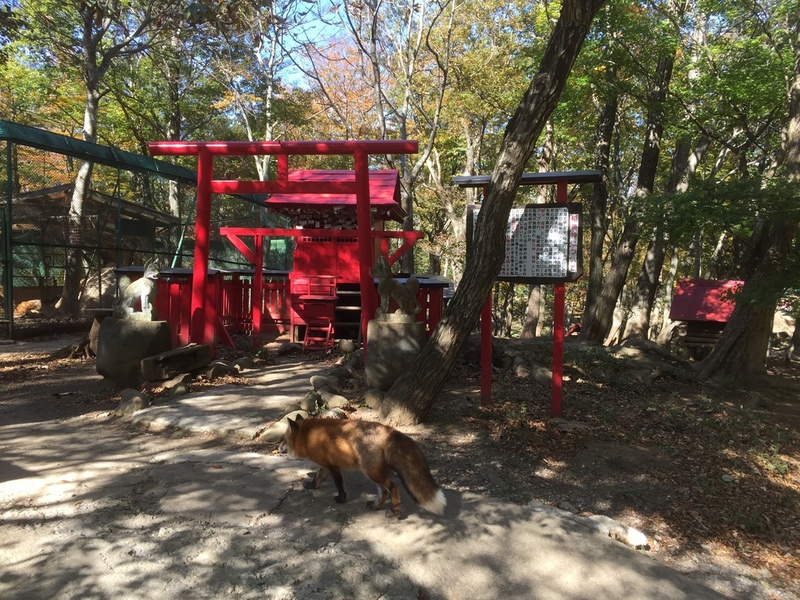 The village enterence has a traditional Japanese style gate you enter through which leads to a small wooden hut where you walk down a small passage. 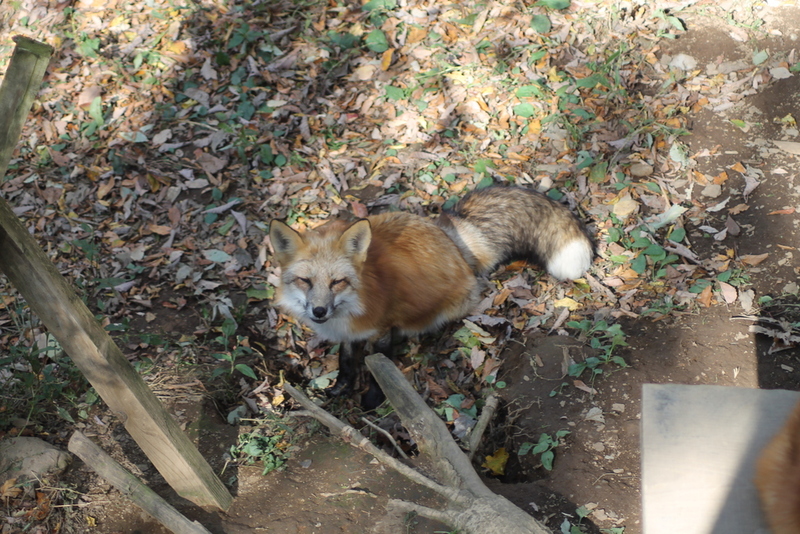 Halfway down I was greeted by a short, gruff looking Japanese lady who turned out to be excessively enthusiastic and friendly. 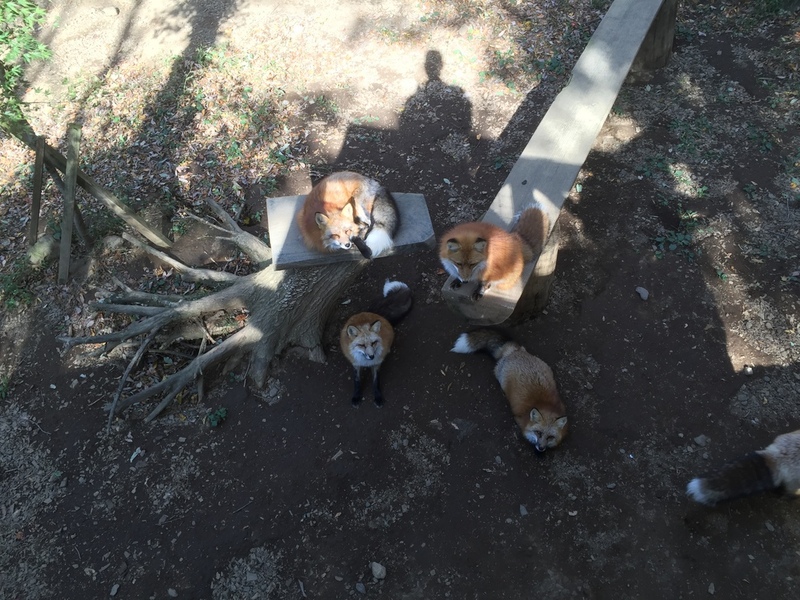 She explained all the rules in pretty good English (after saying she only speaks a tiny bit), sold us some food to feed them with and beckoned us on our way. 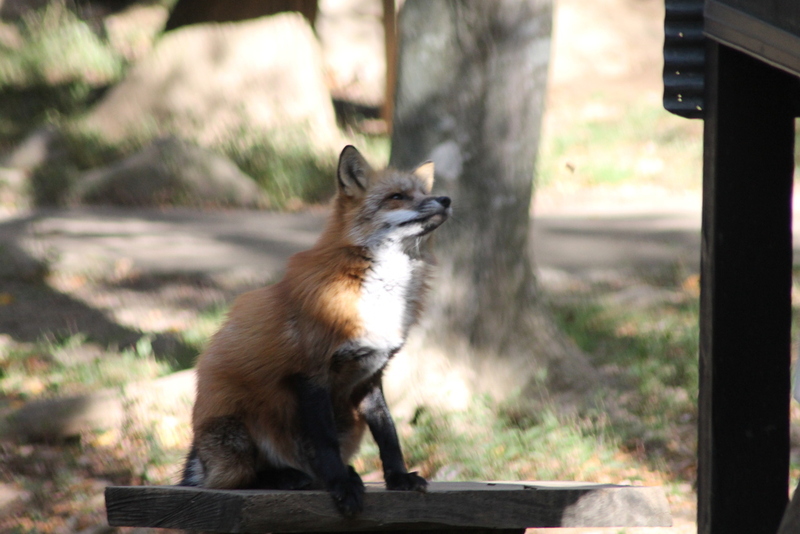 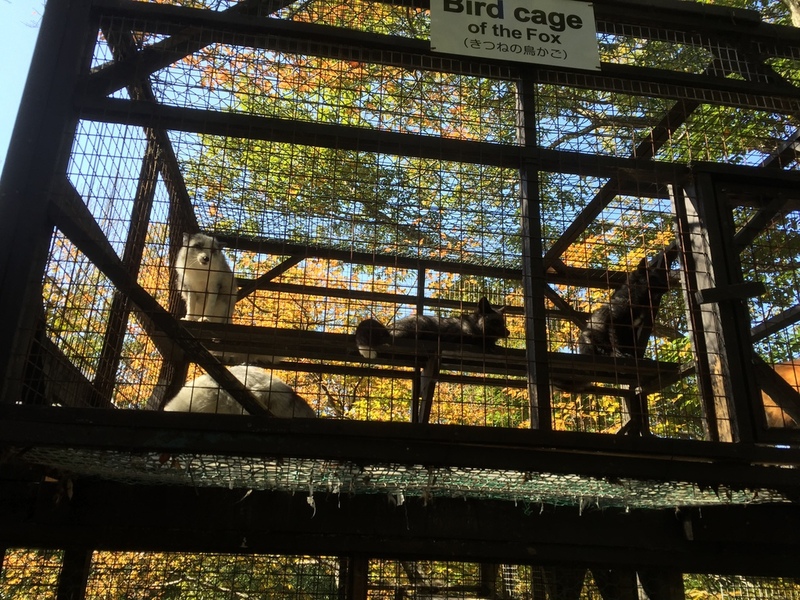 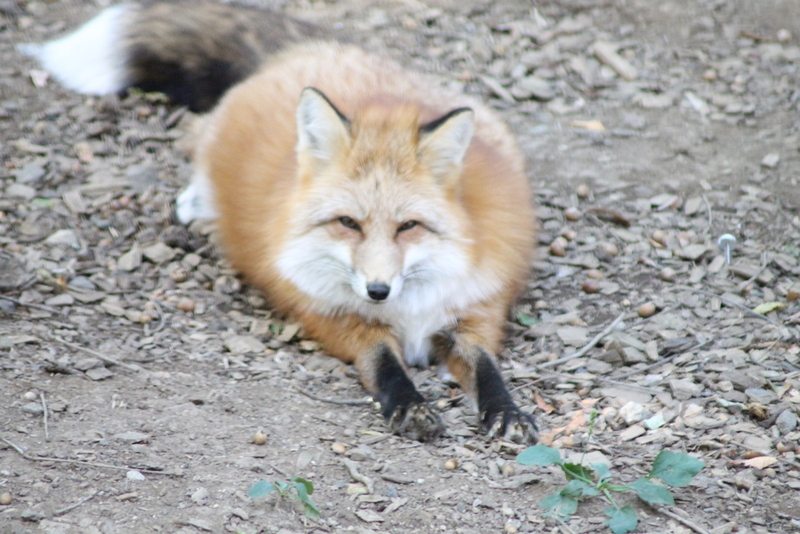 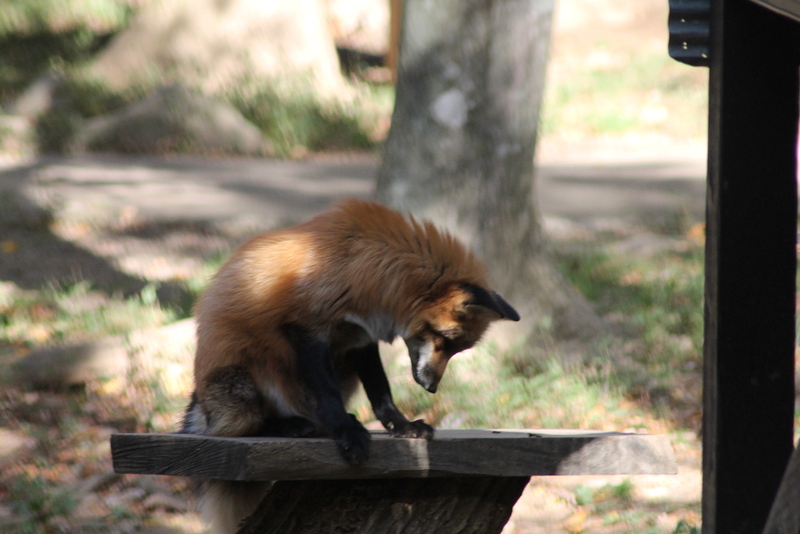 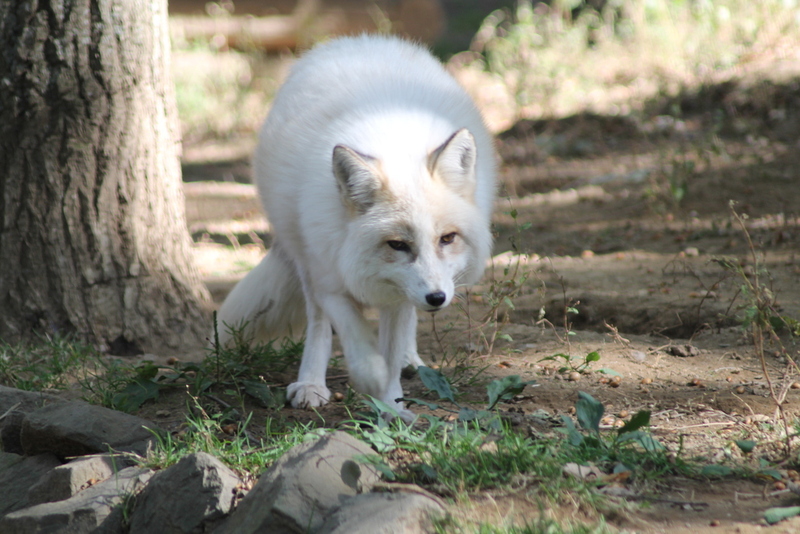 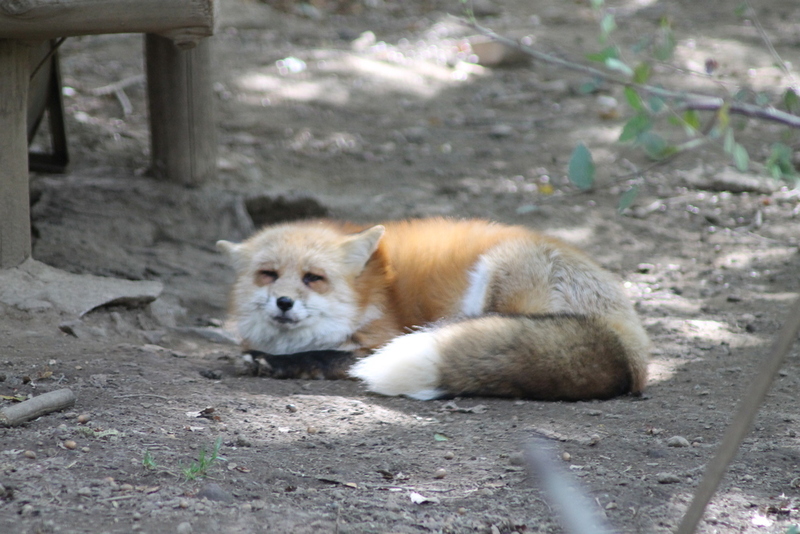 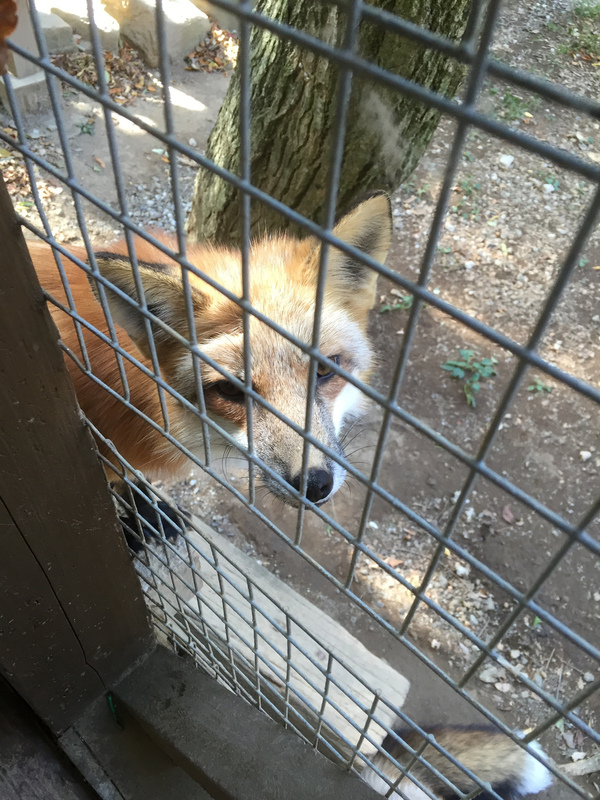 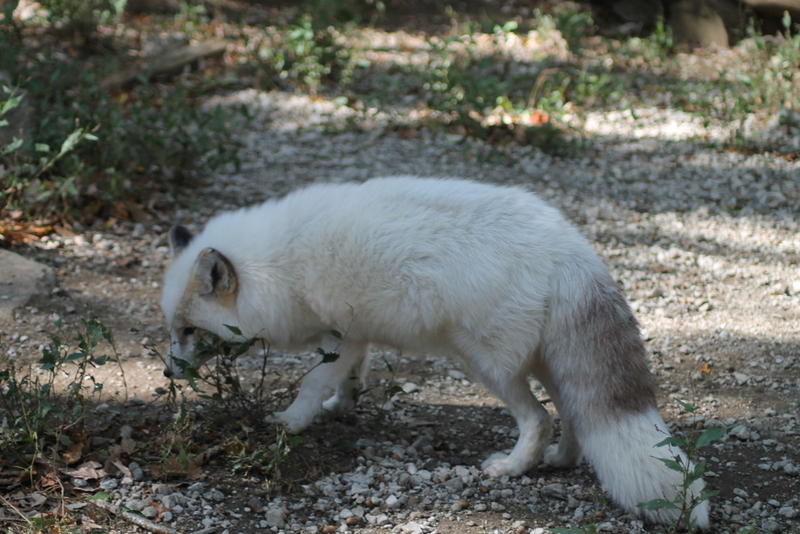 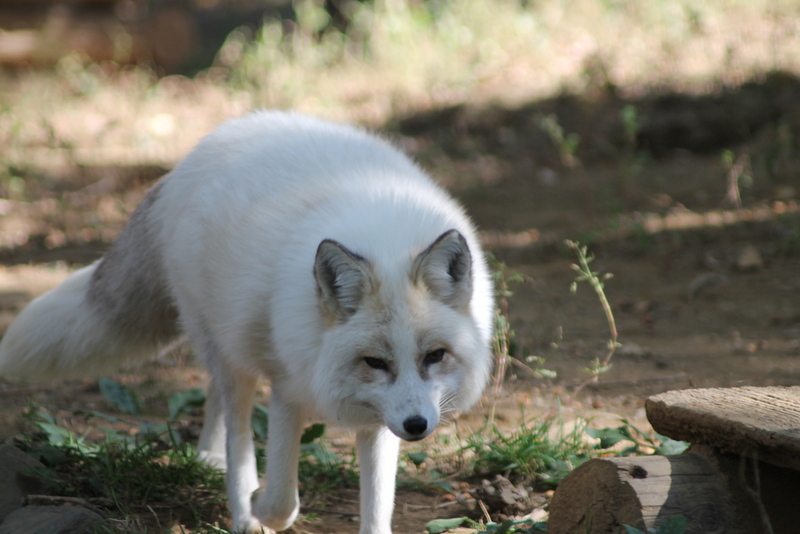 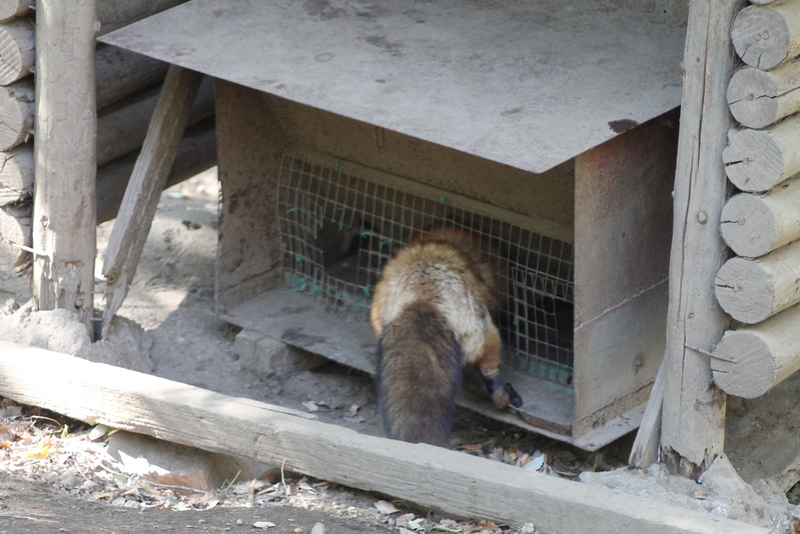 The first part is more caged animals then free roaming as its the area that contains the domesticated foxes and the young foxes being trained and raised to be moved into the sanctory. 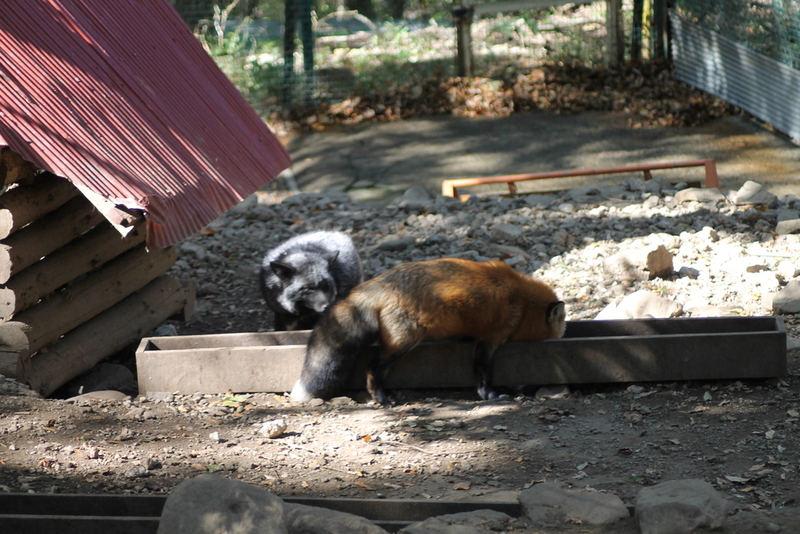 It also contained rabbits, goats and some kind of badger/raccoon cross hybrid thing. 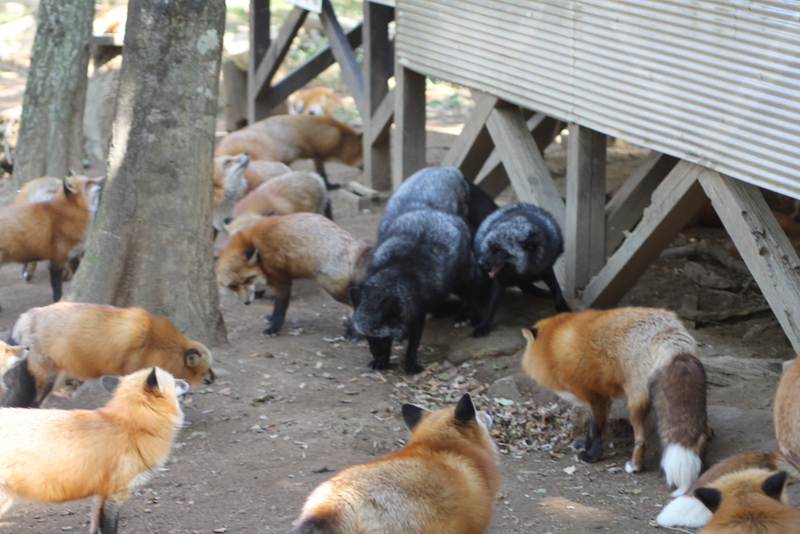 After having a quick look around this bit and experiencing the excessive noise from feeding time of about fifty baby foxes we moved into the sanctuary which was reasonably large and all the foxes just roamed around freely (well more slept everywhere but same difference really?). 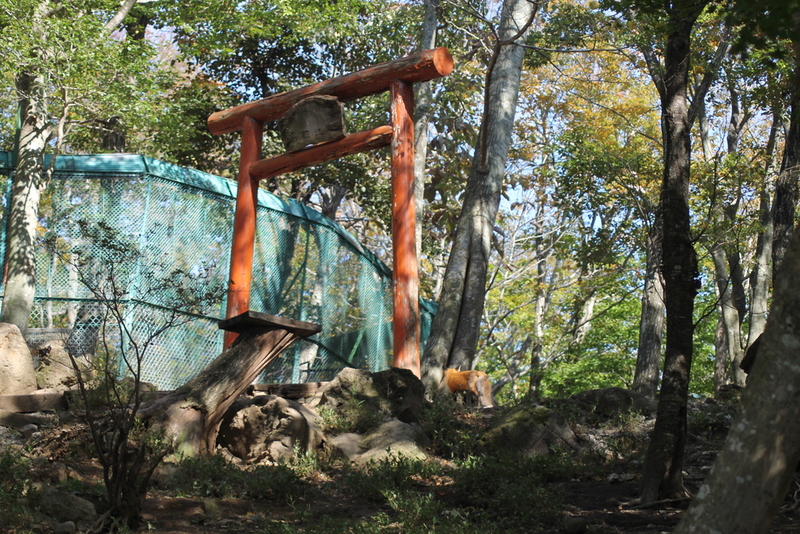 Once you got to the center of the 'village' you were met with the feeding area or cage, which was a raised hut with doors and mesh fences where you would go in and throw food down to the foxes who as soon as they heard the rustling of the food suddenly became insanly active and swarmed the cage. 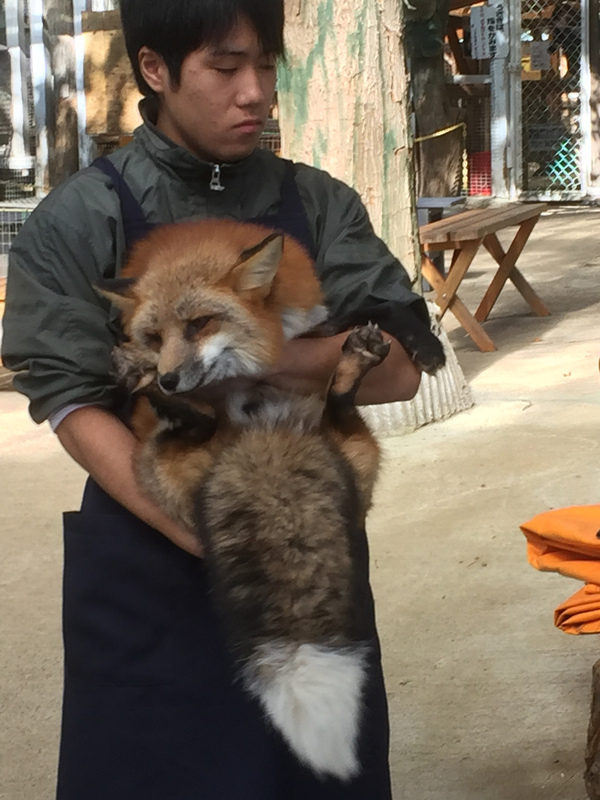 So after a few hours feeding them and wandering around looking at them all went back to the initial bit where you could stroke some of the more domesticated ones and even pay to cuddle with one. 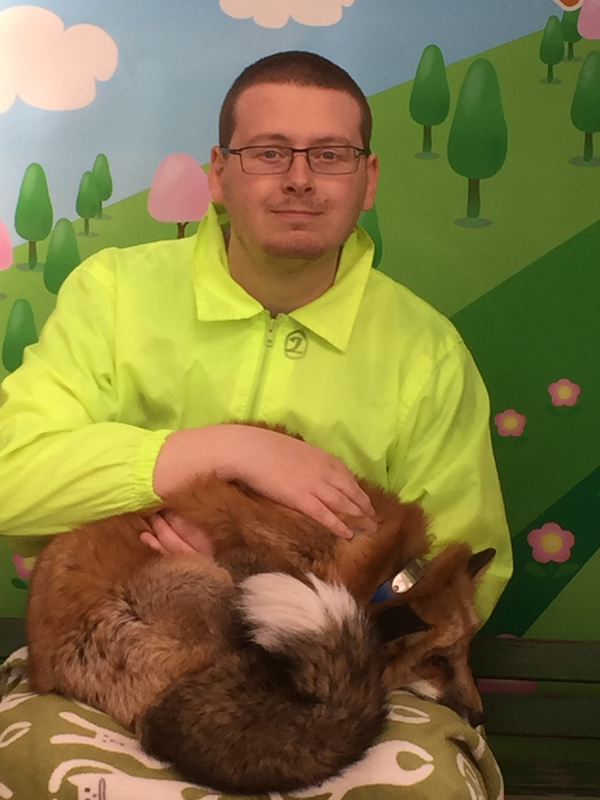 Never one to turn down such things I had a go at this and it basically involved you sitting on a bench and being passes a fox who'd then just sleep on your lap.